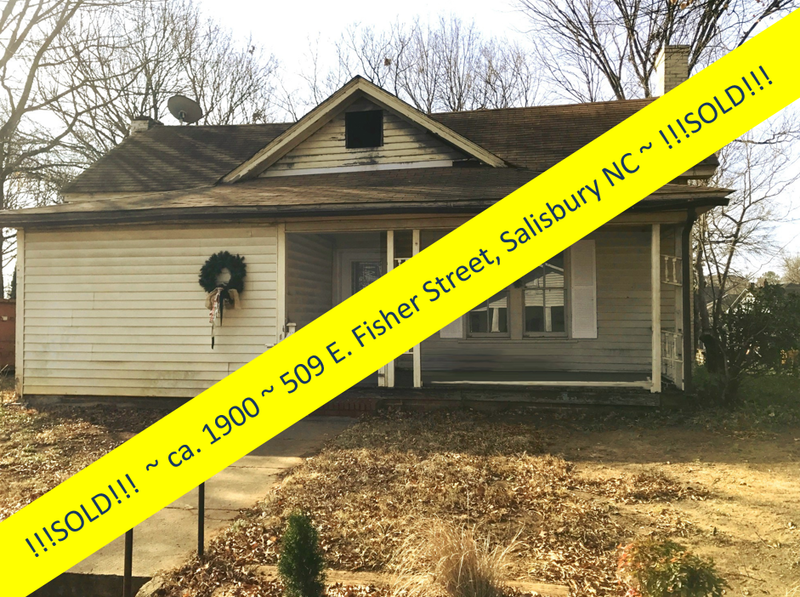 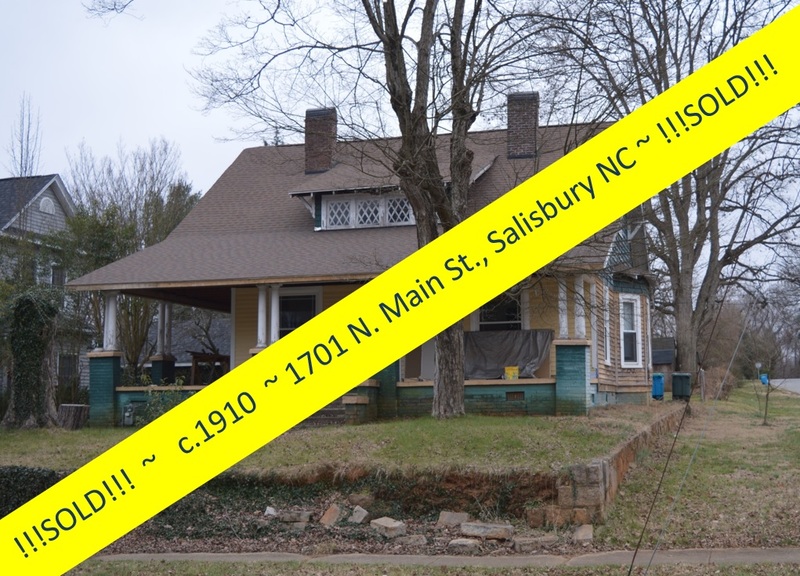 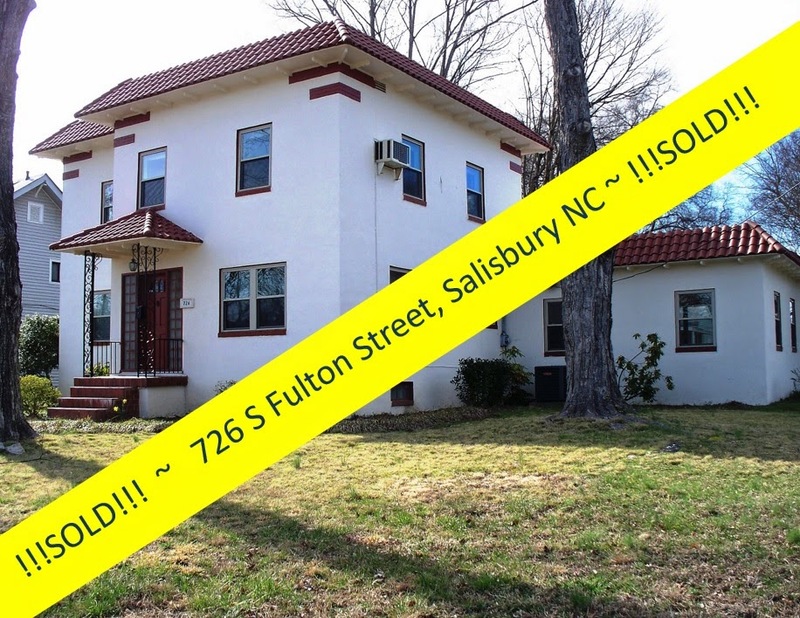 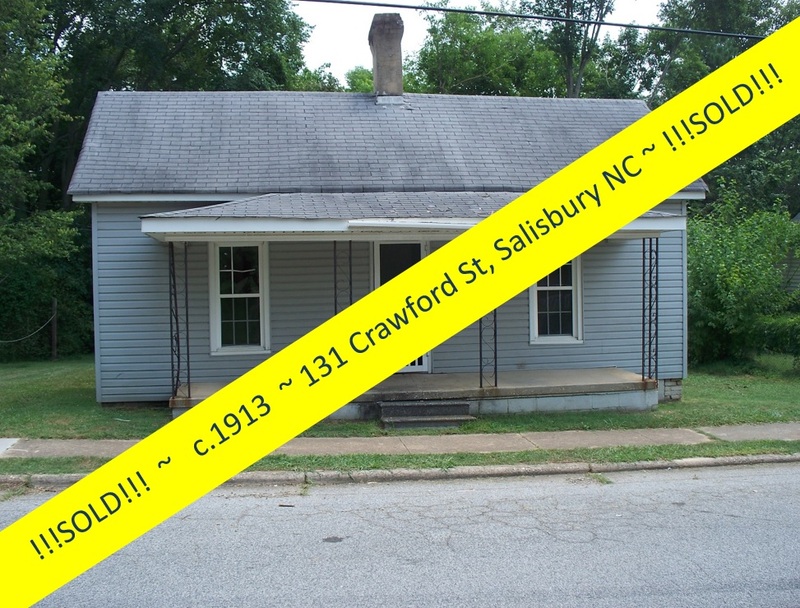 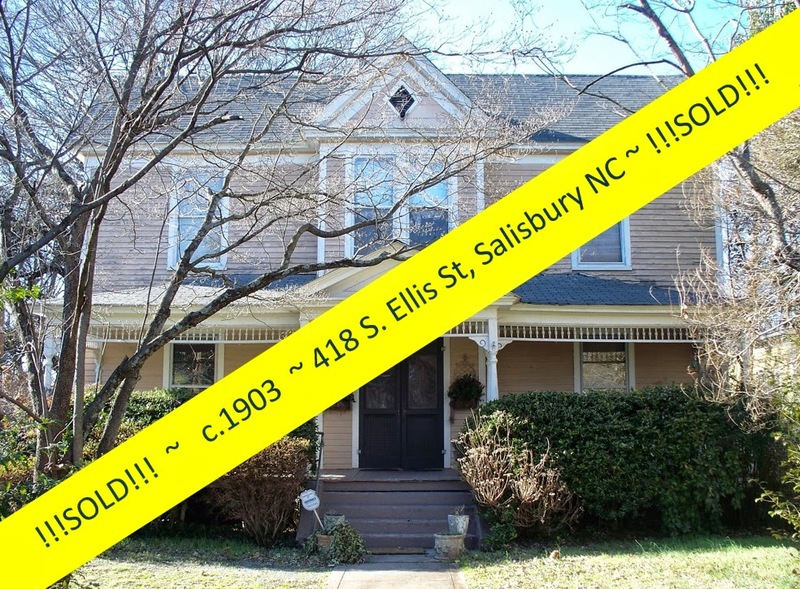 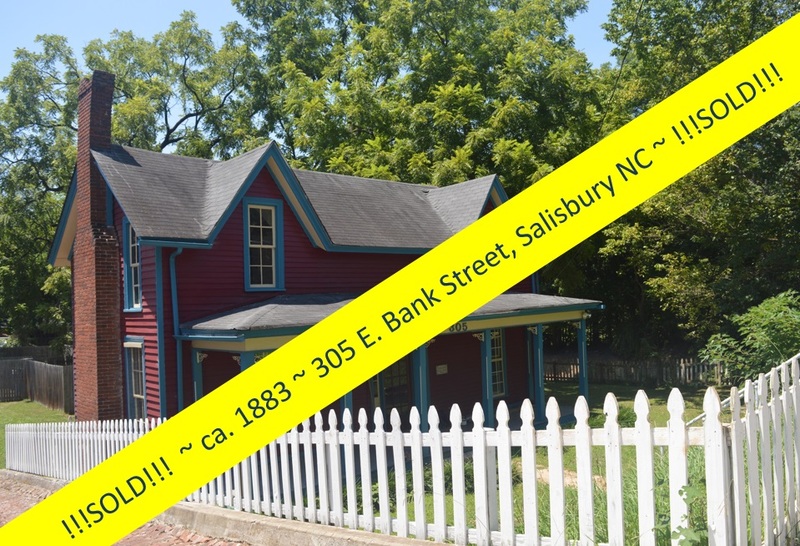 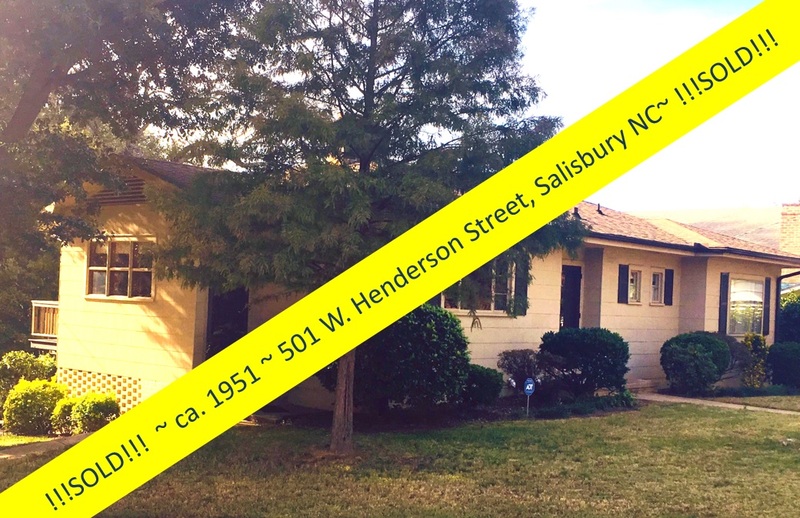 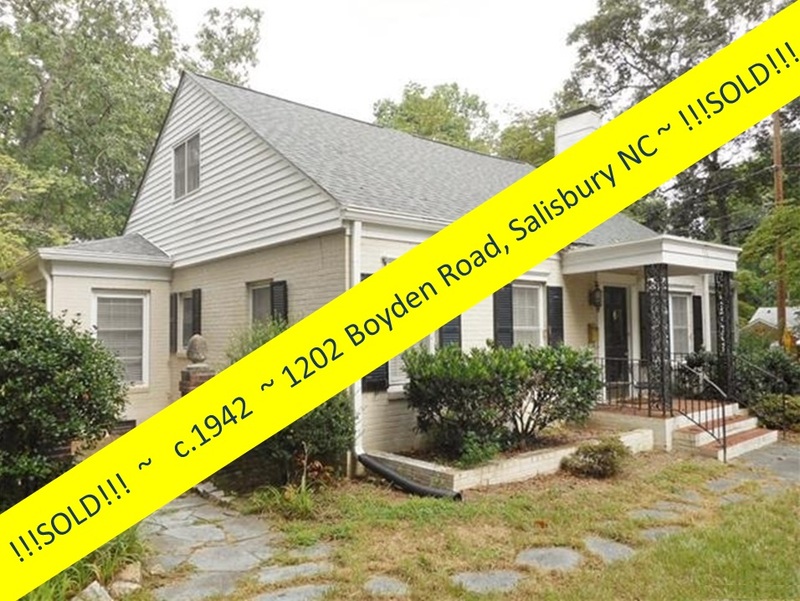 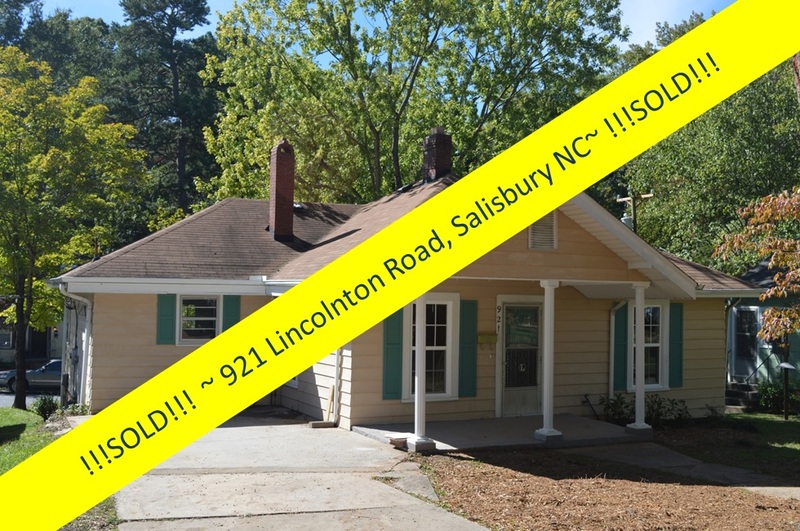 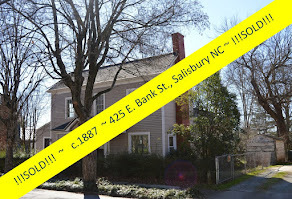 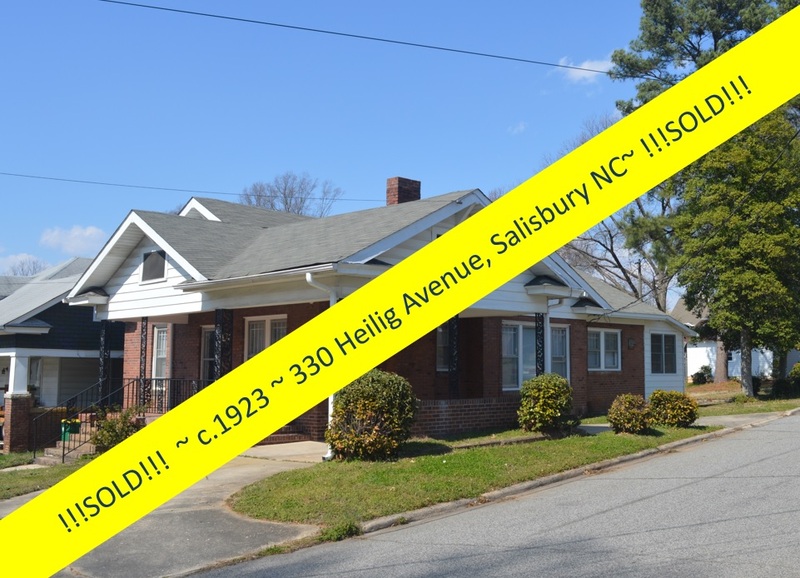 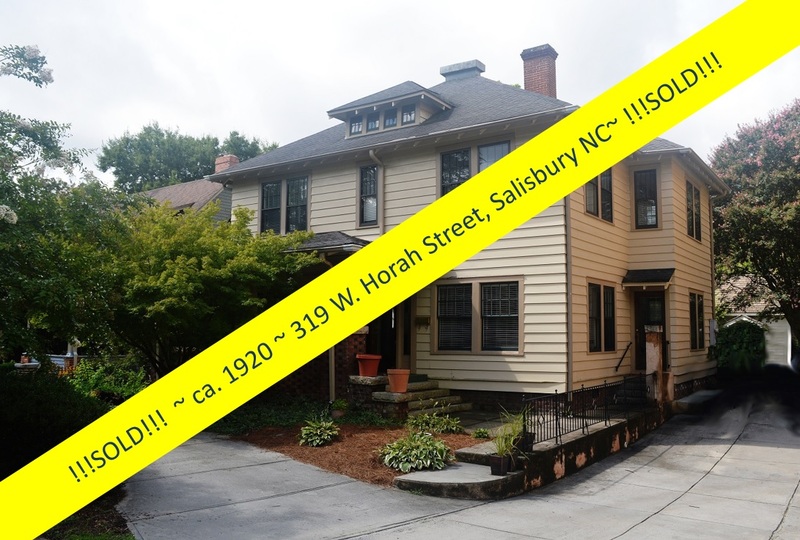 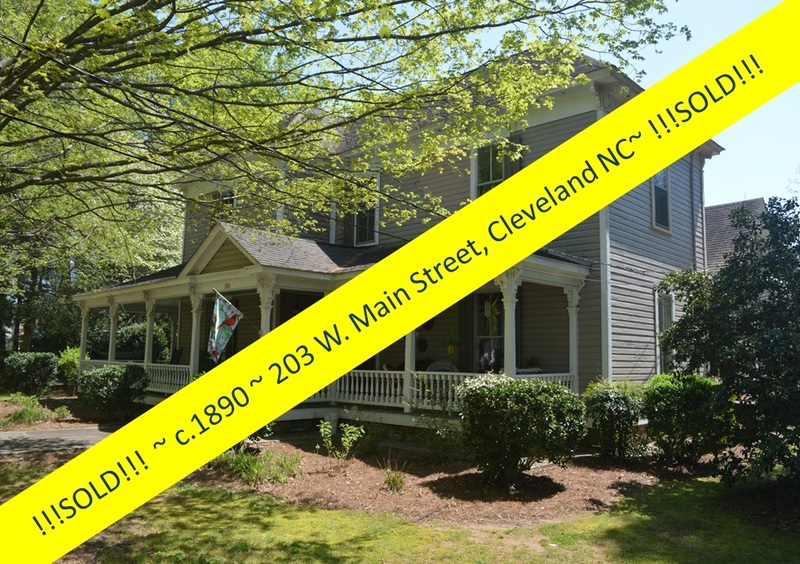 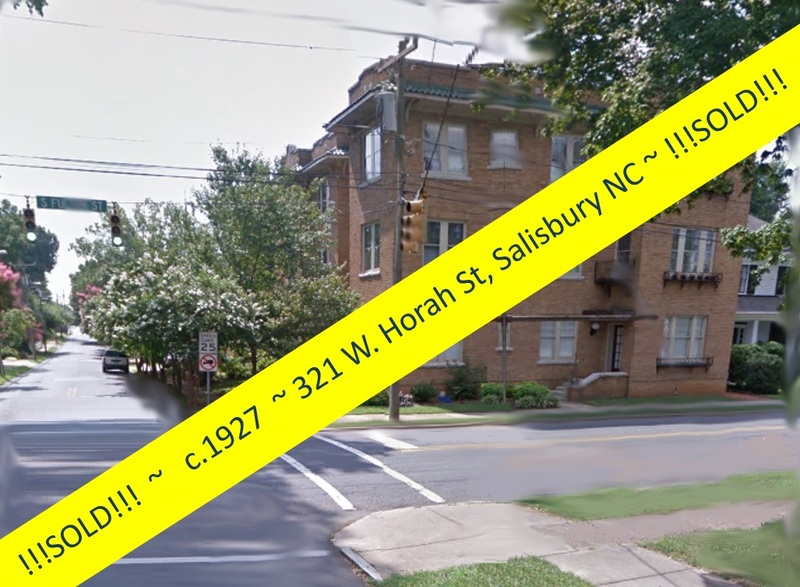 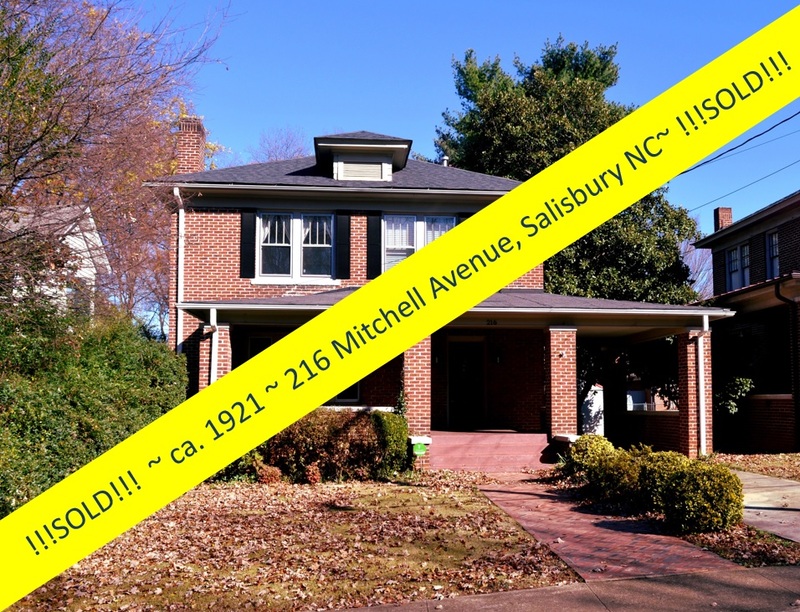 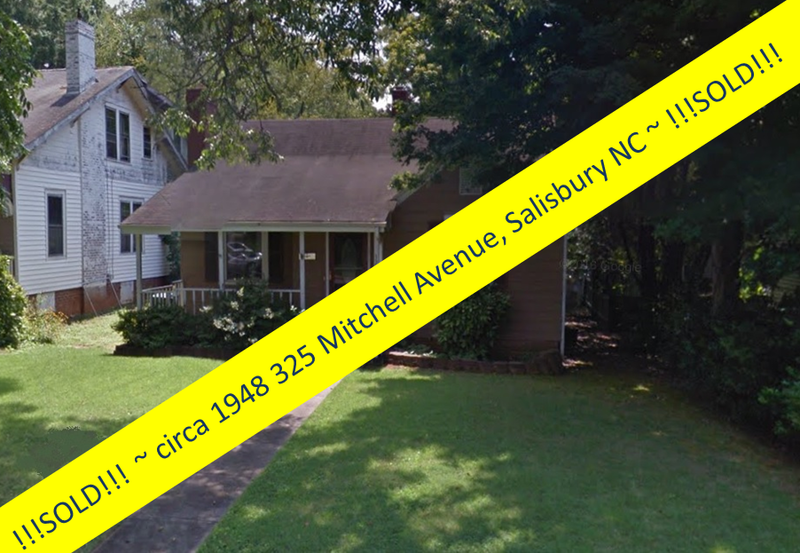 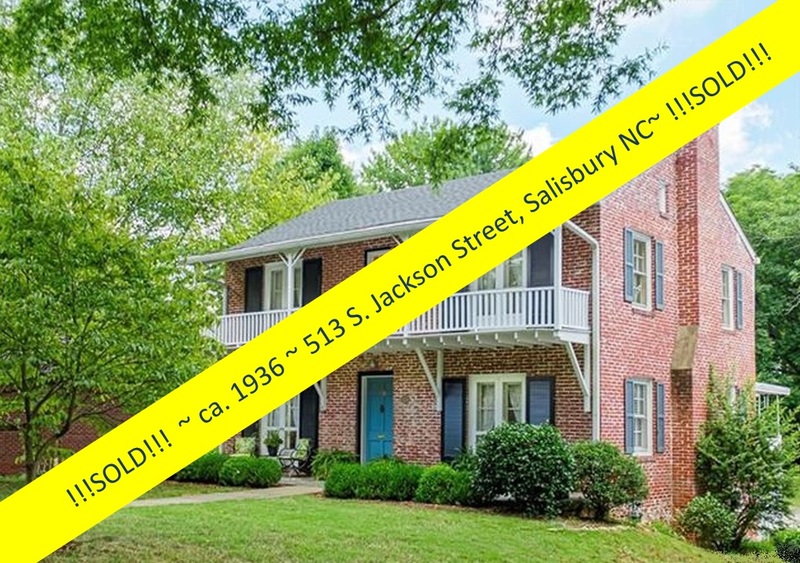 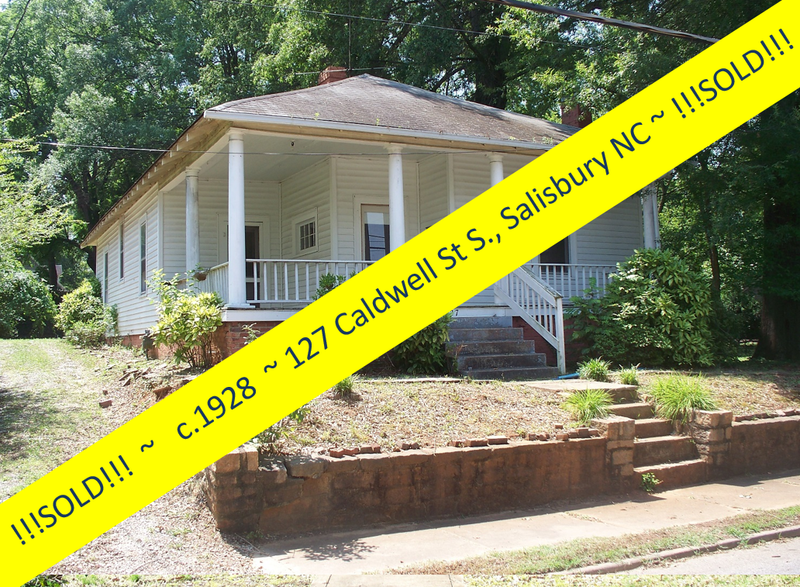 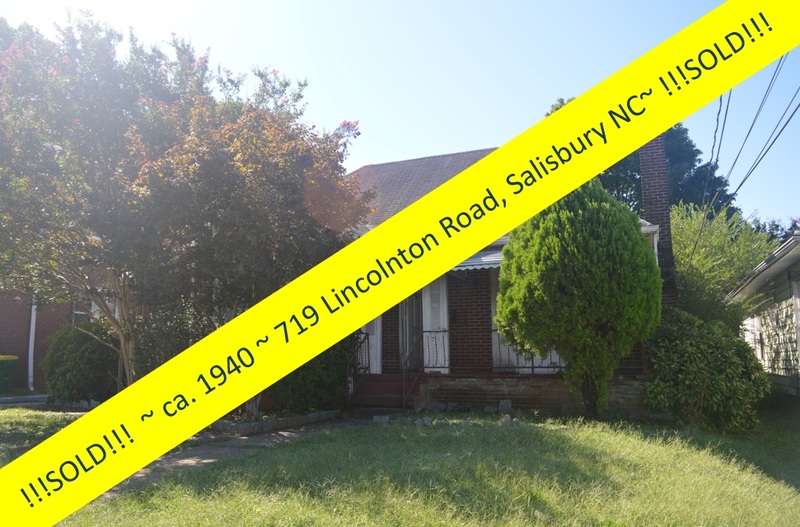 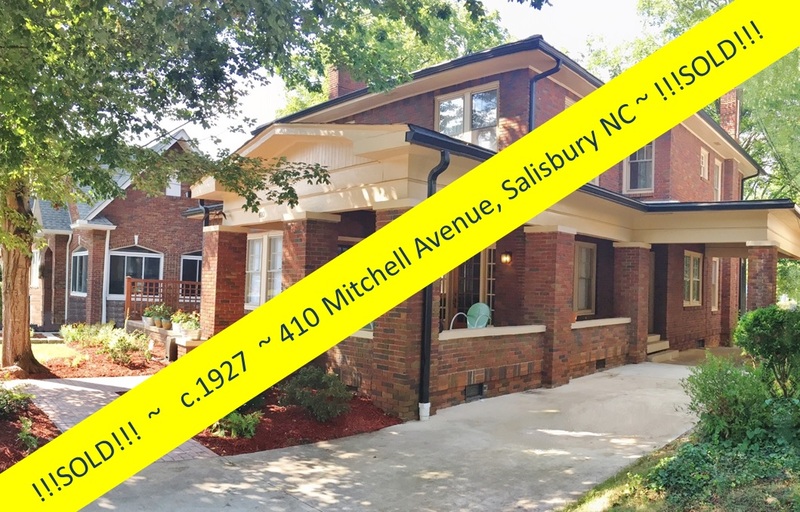 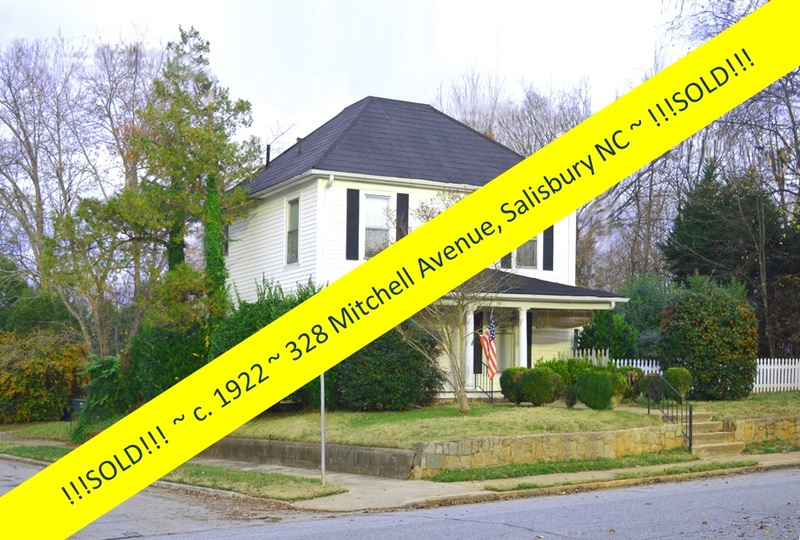 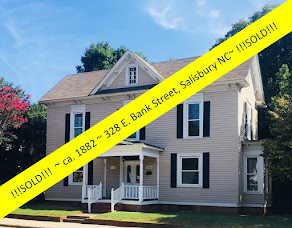 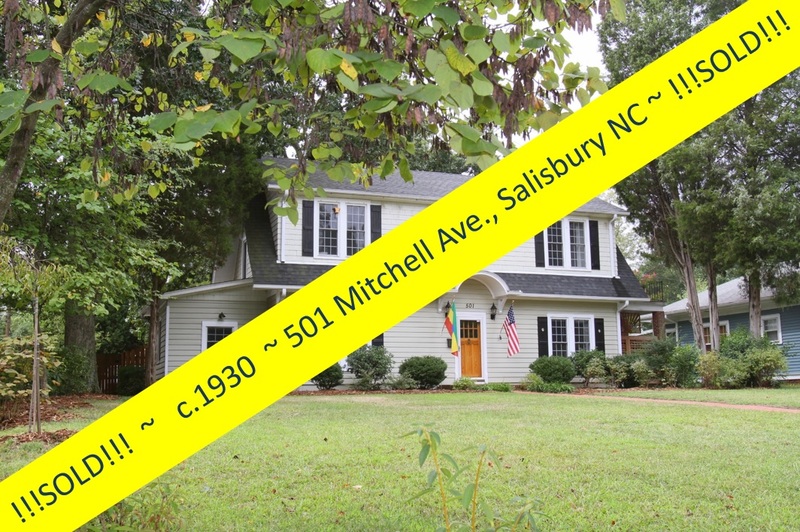 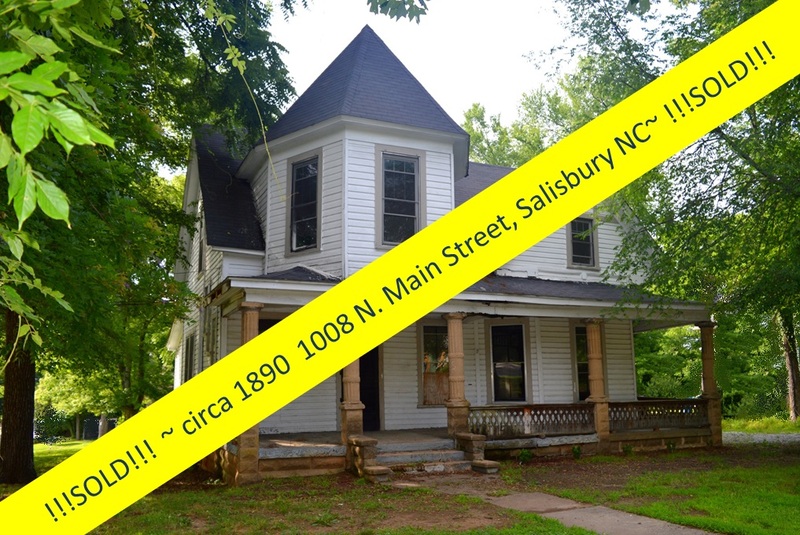 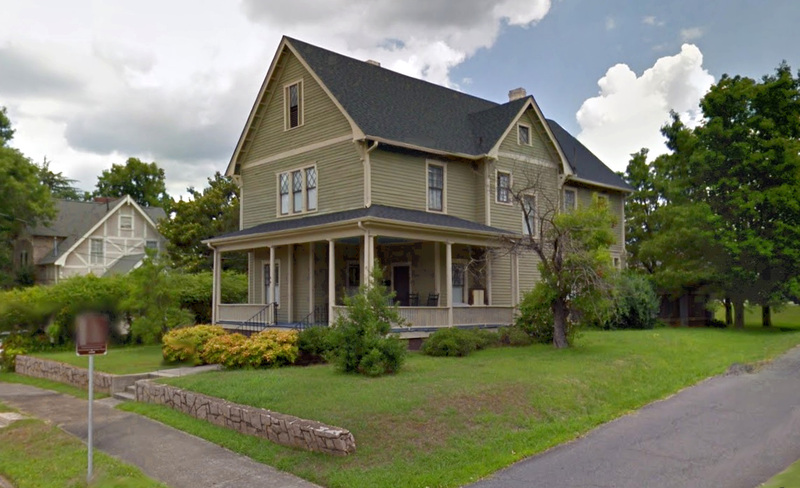 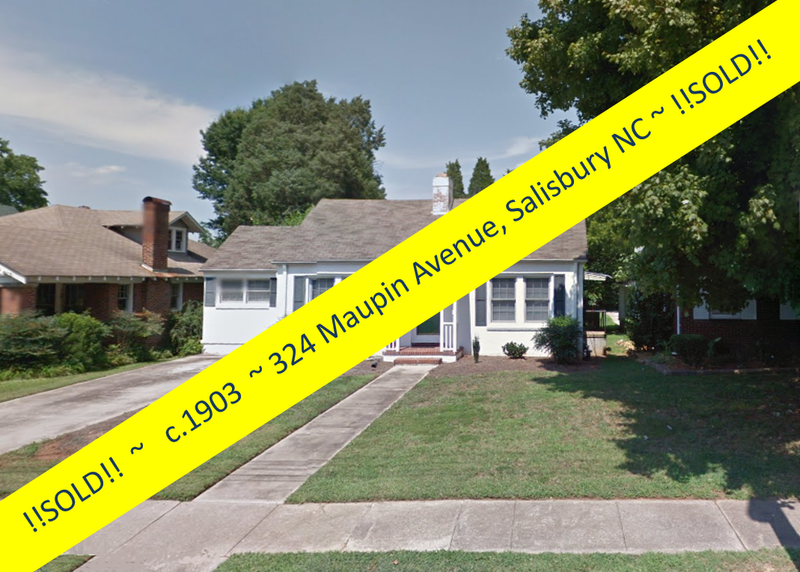 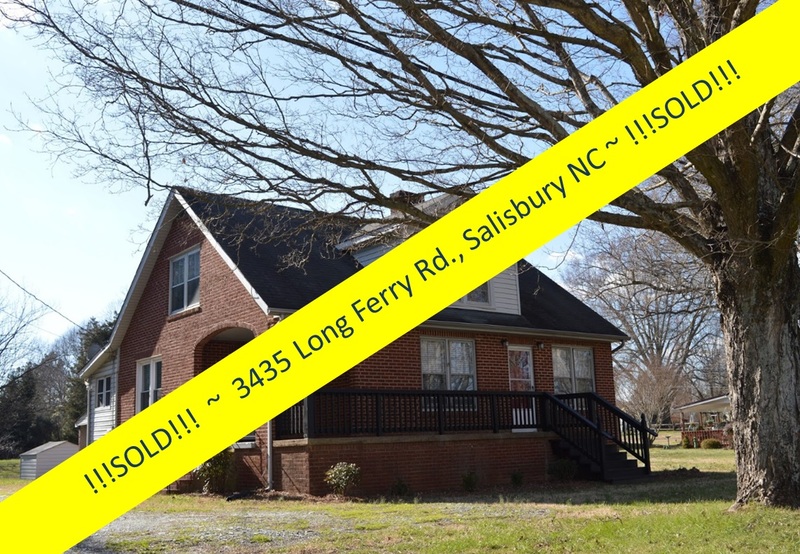 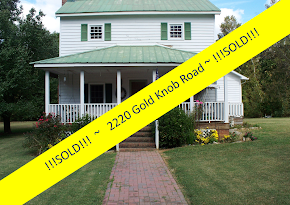 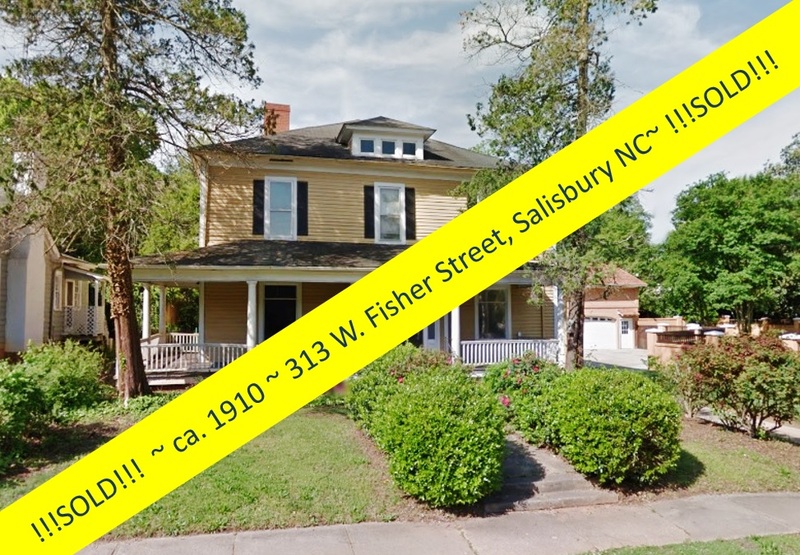 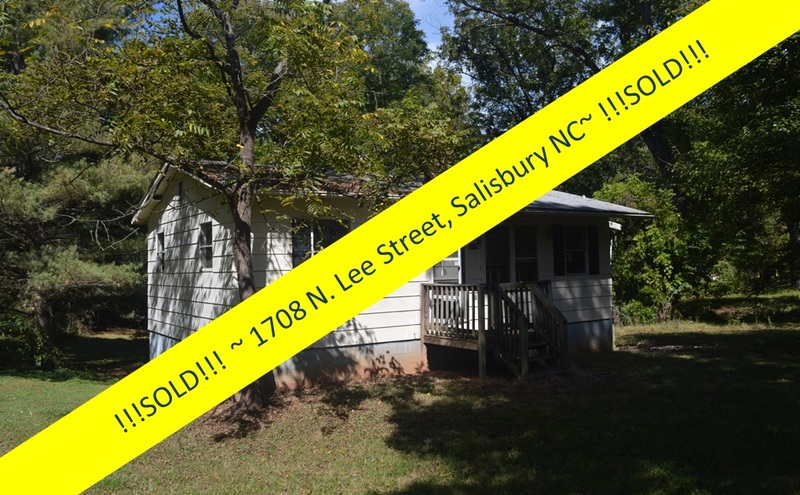 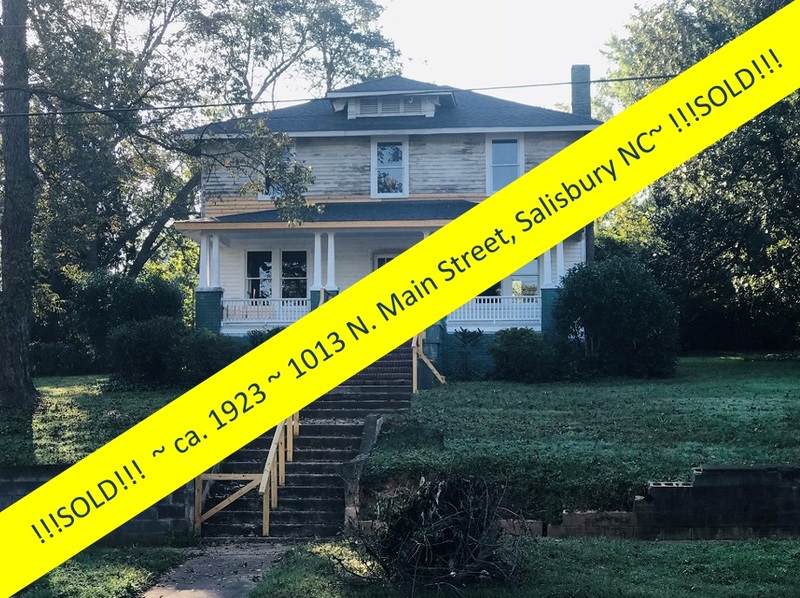 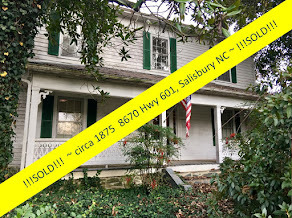 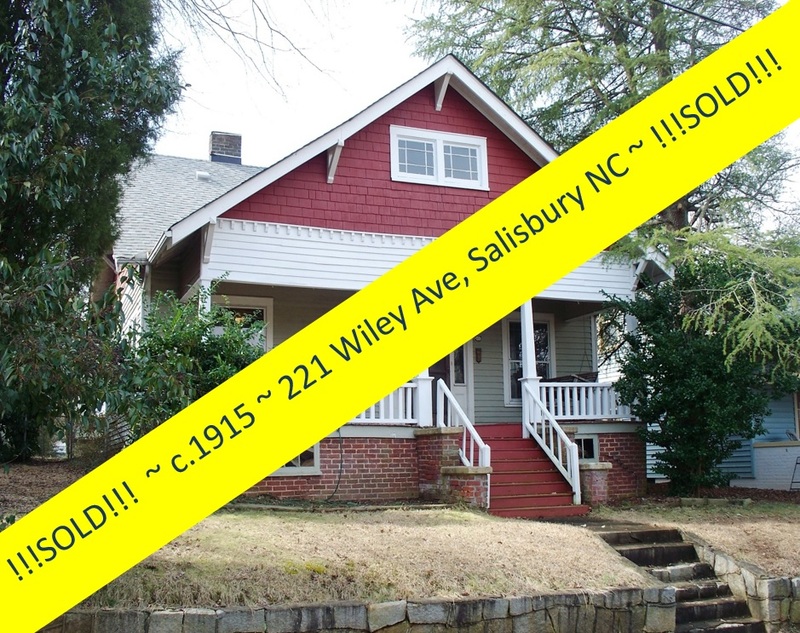 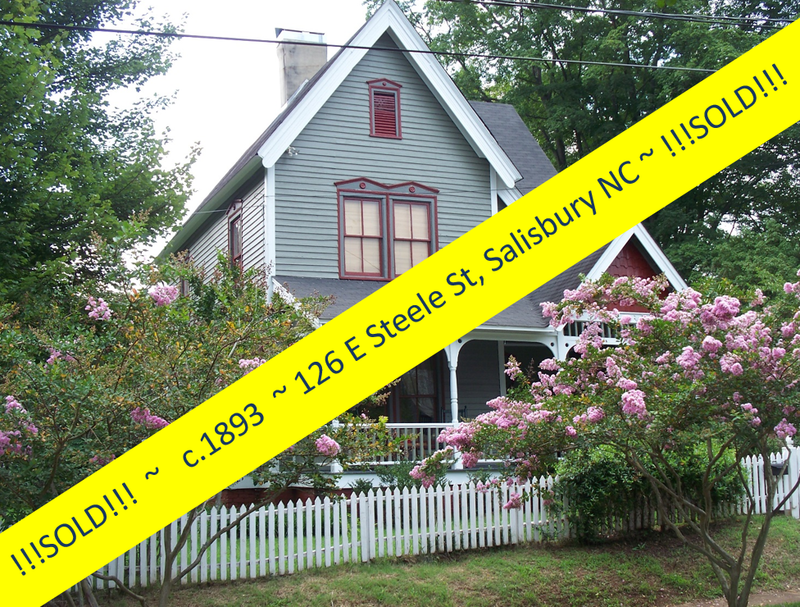 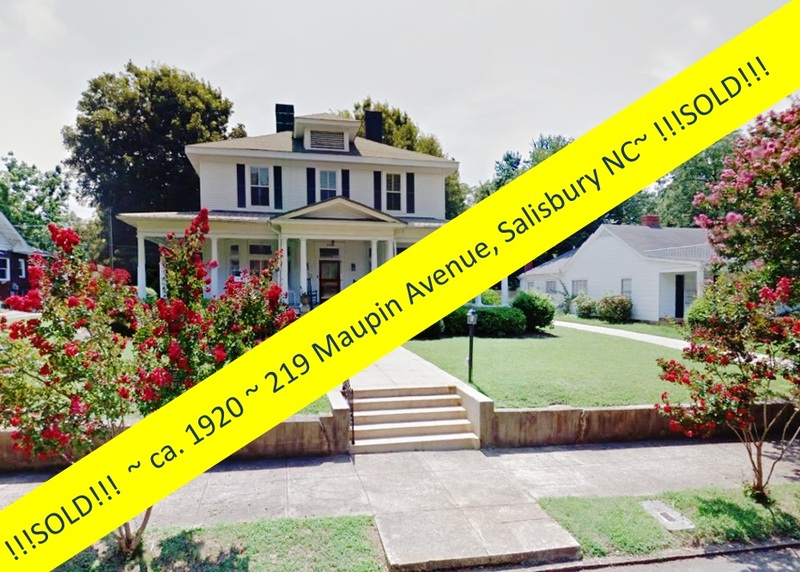 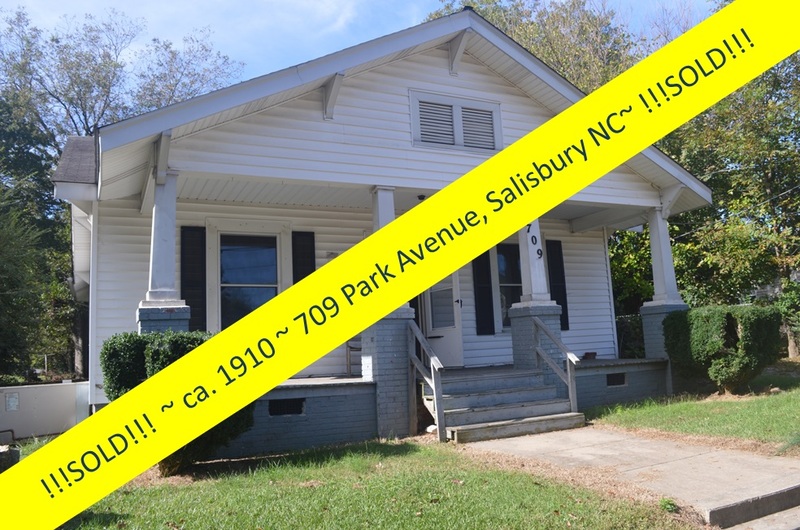 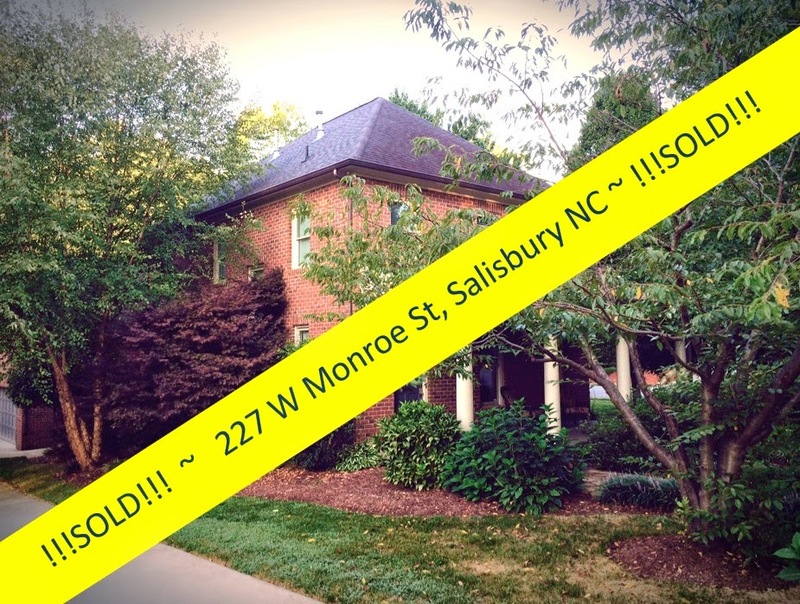 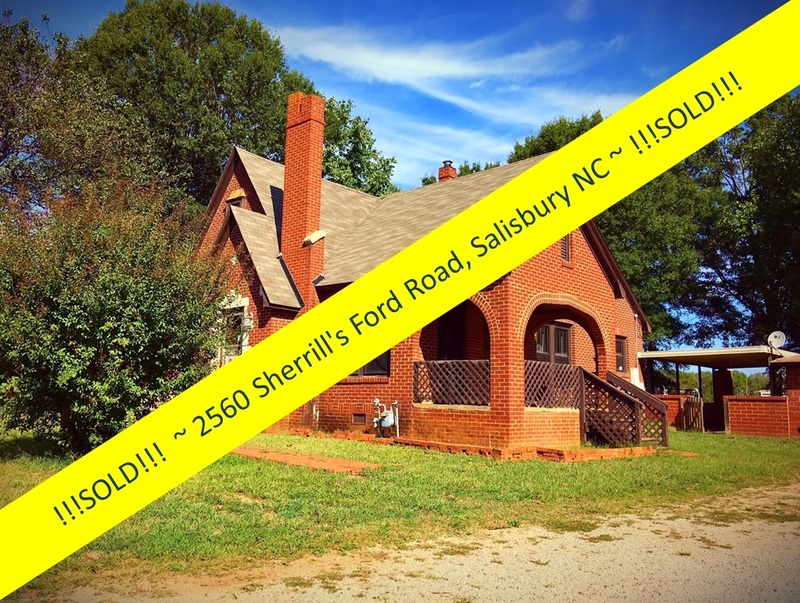 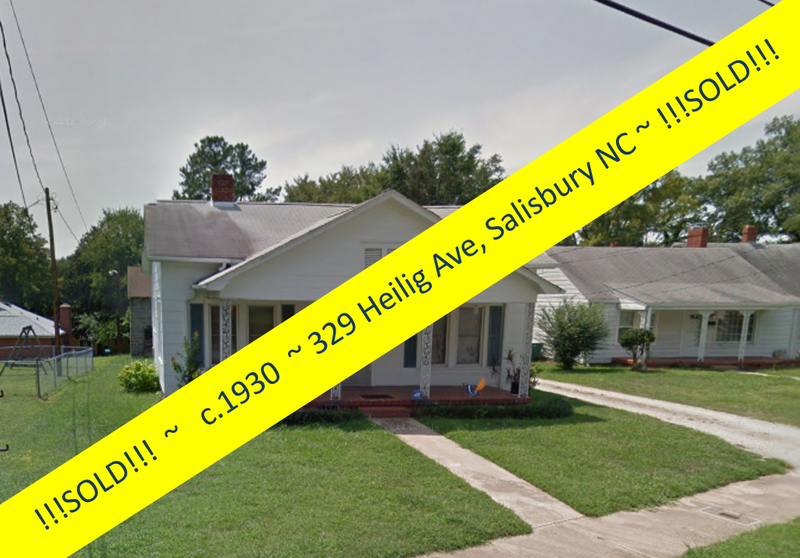 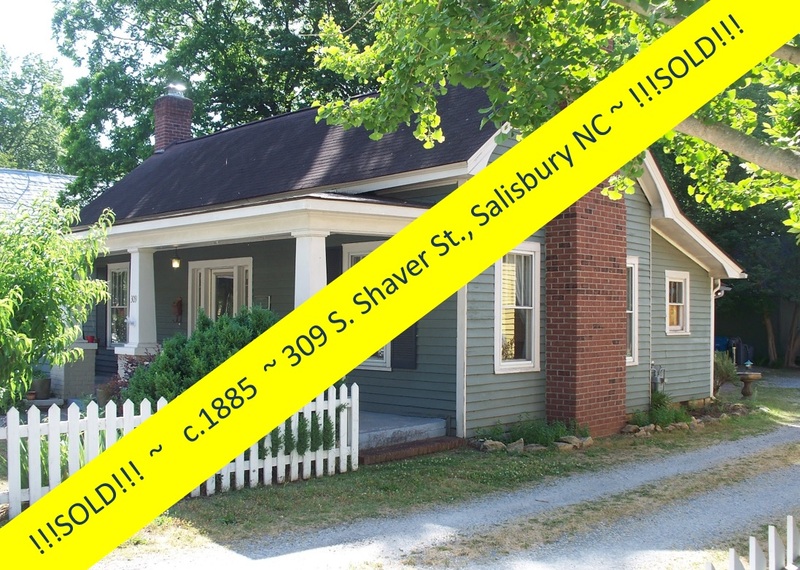 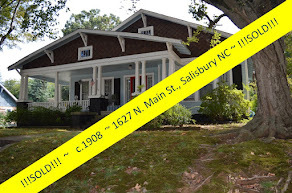 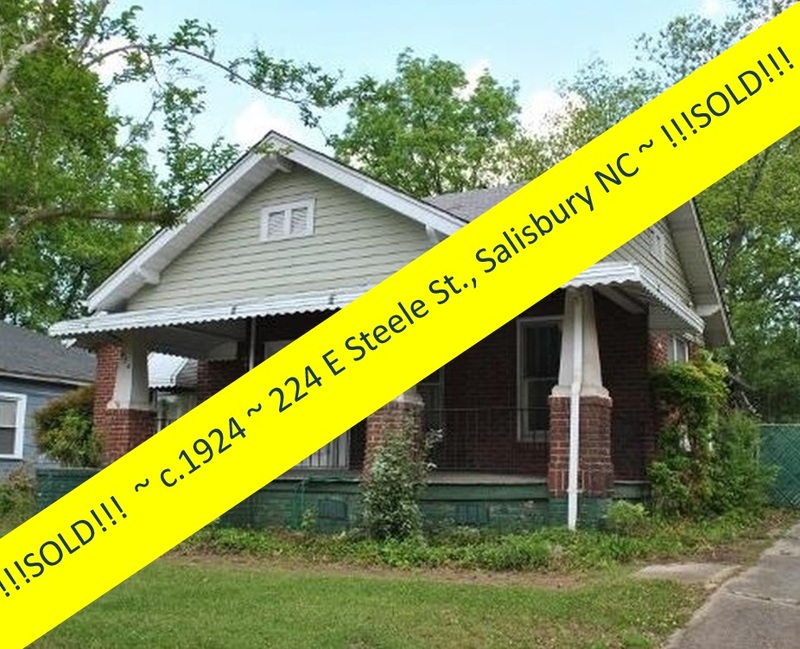 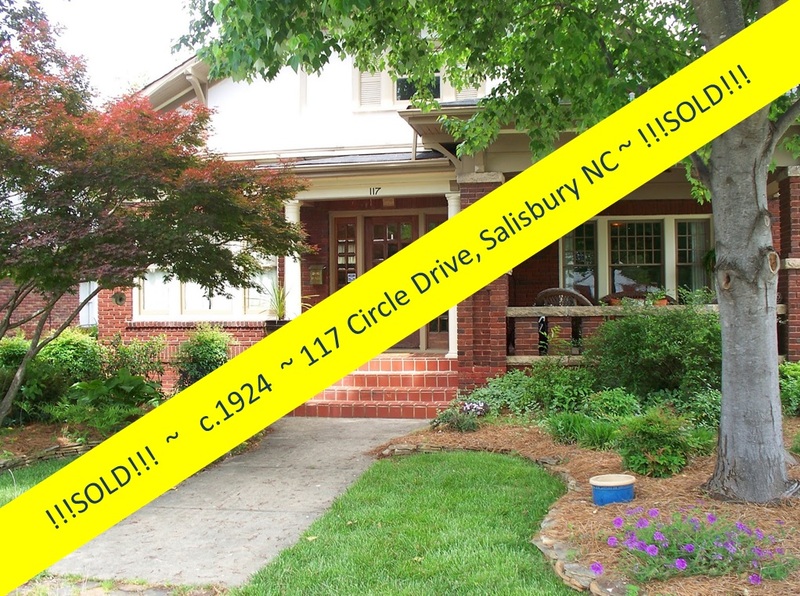 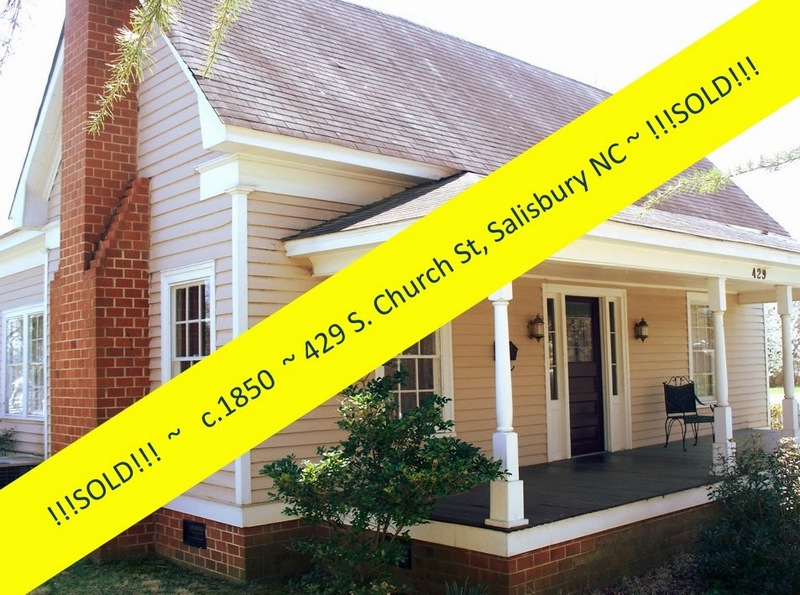 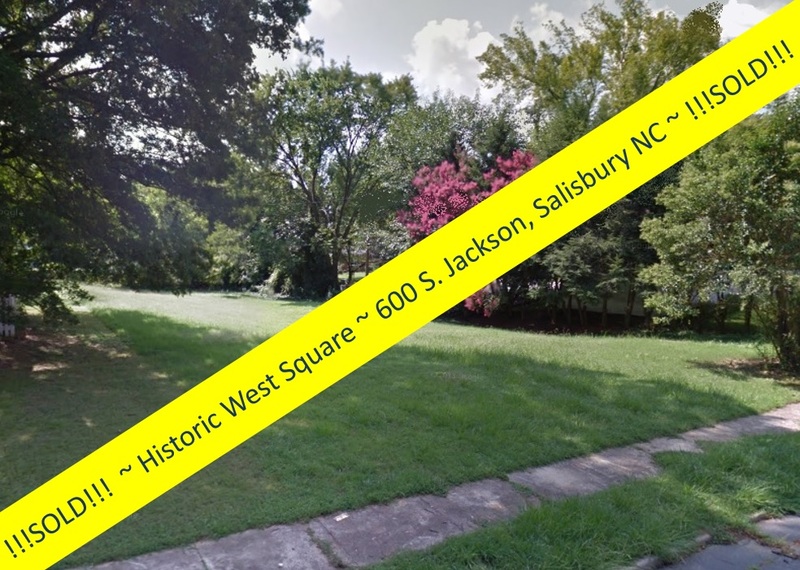 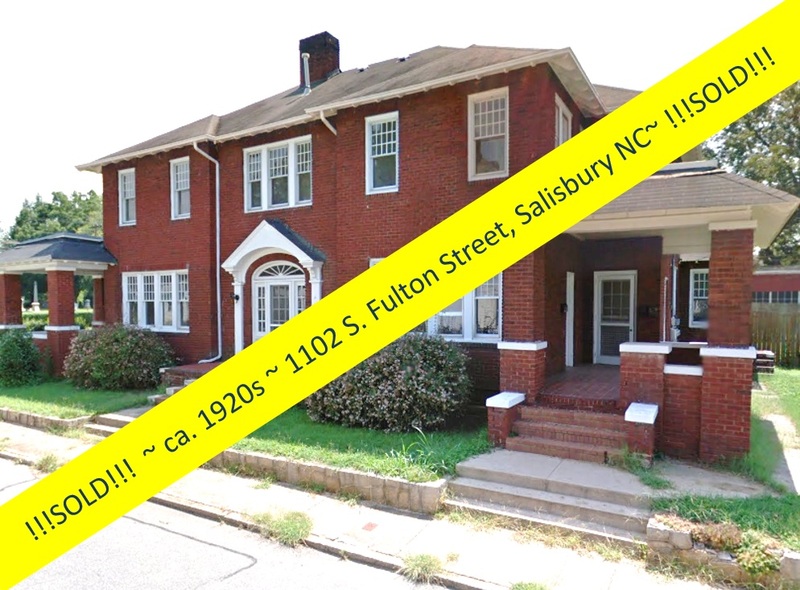 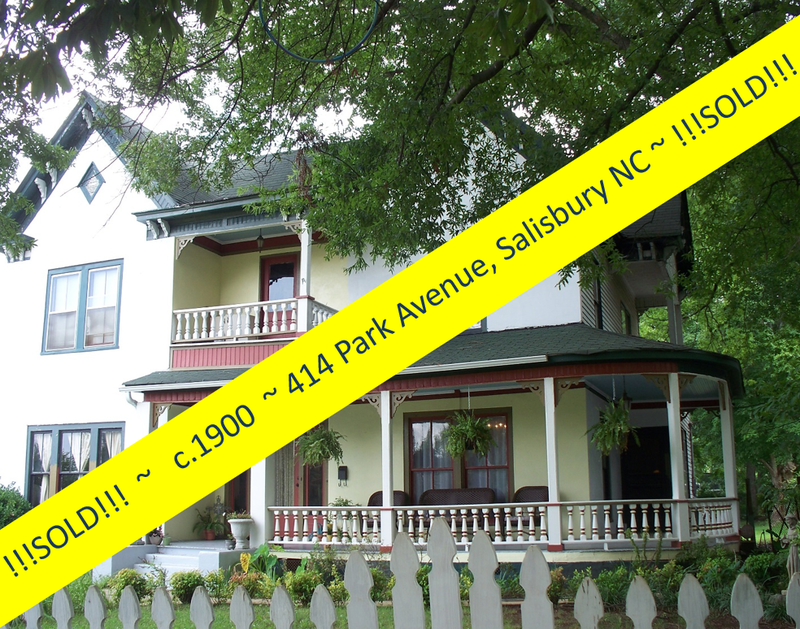 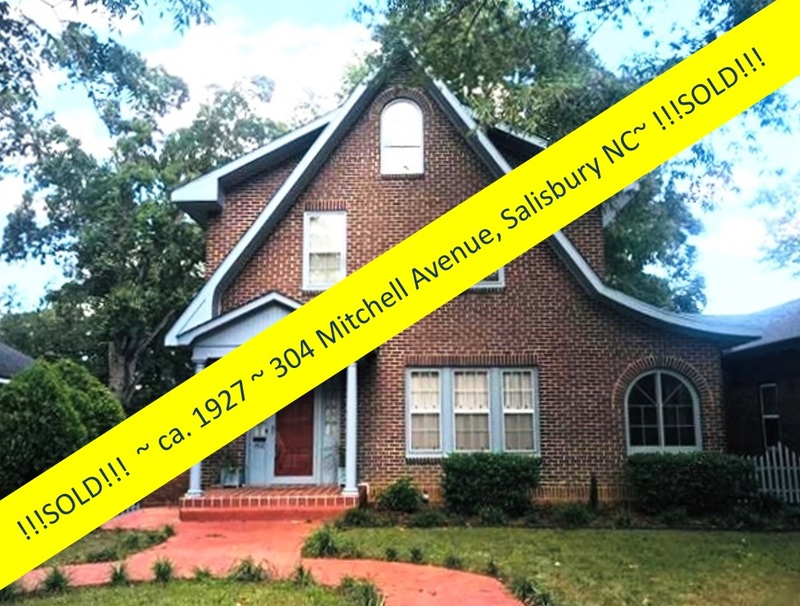 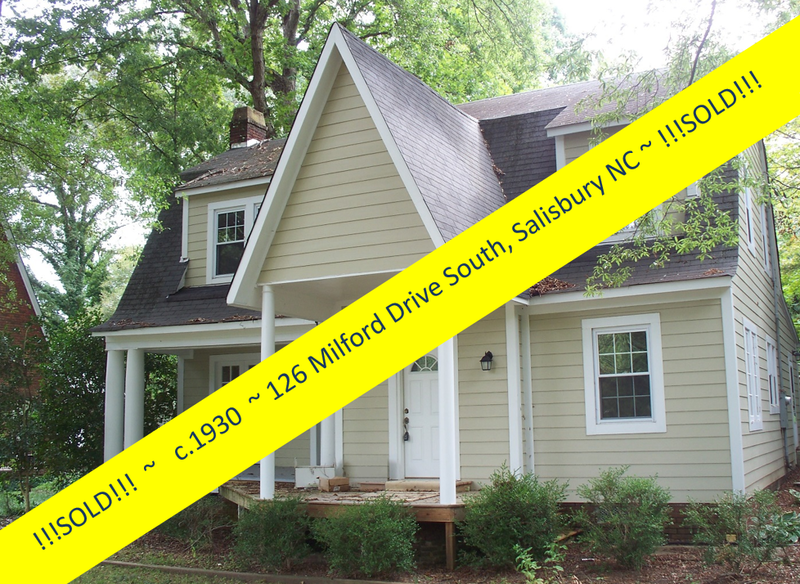 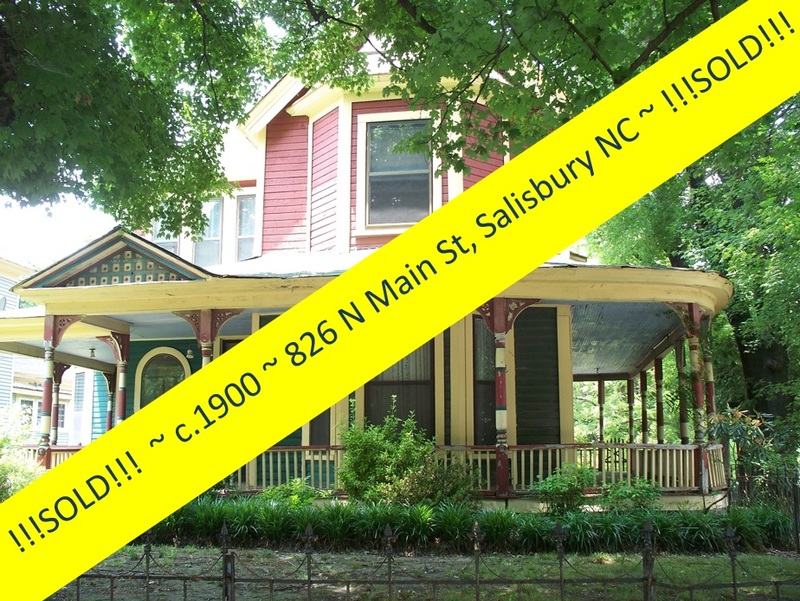 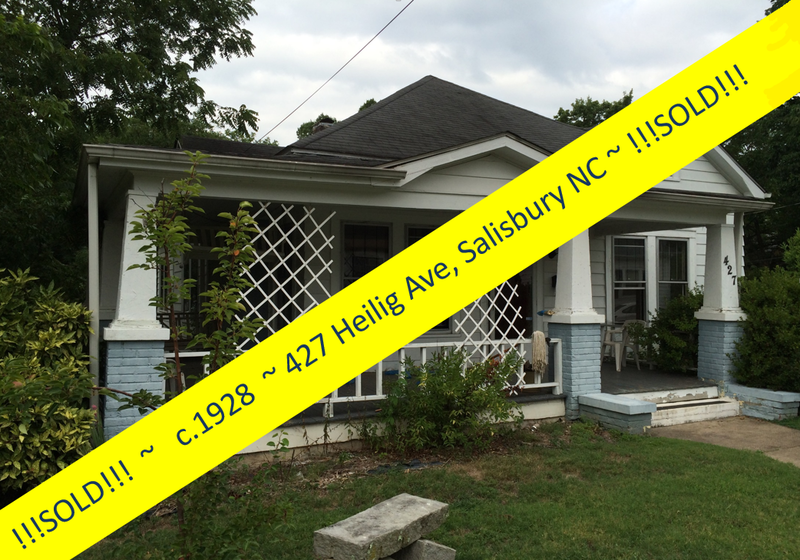 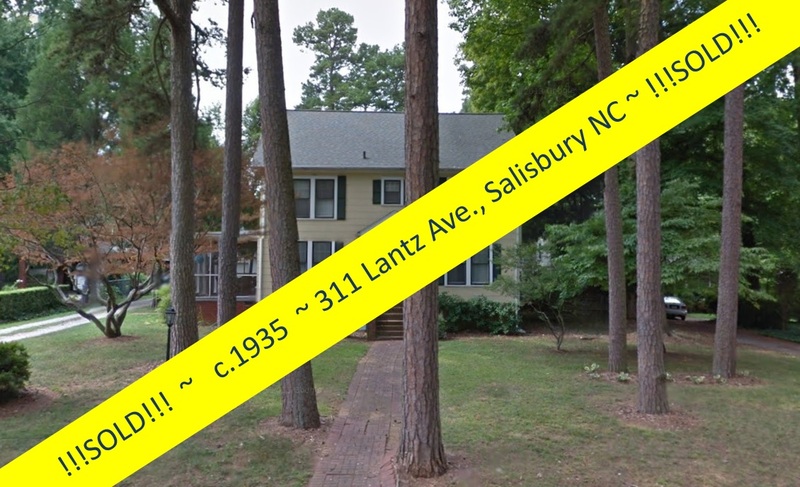 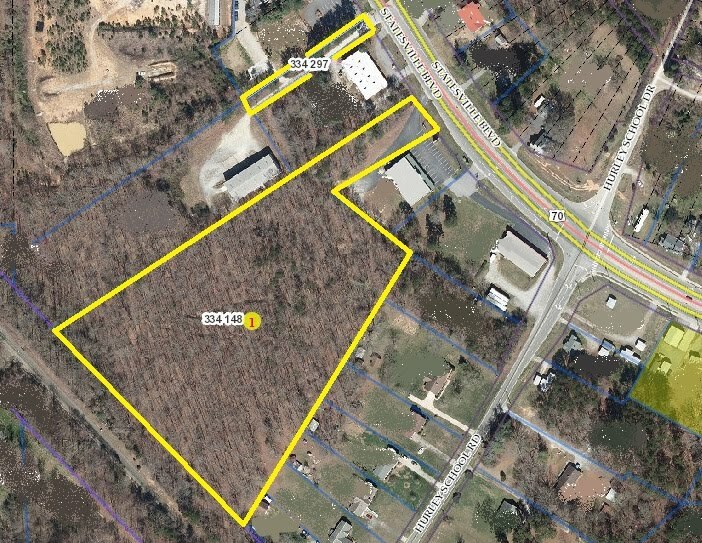 The circa 1895 Holmes-Jackson House at 329 East Bank Street in Salisbury North Carolina was listed for sale by Greg Rapp on February 13th. 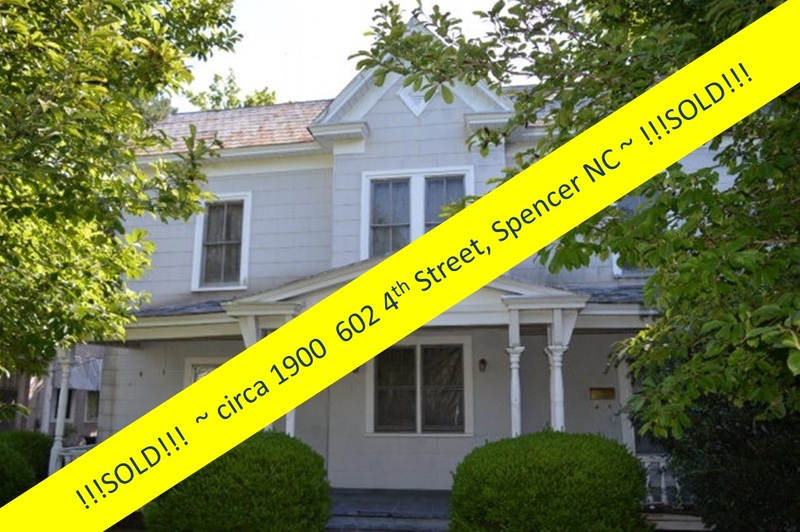 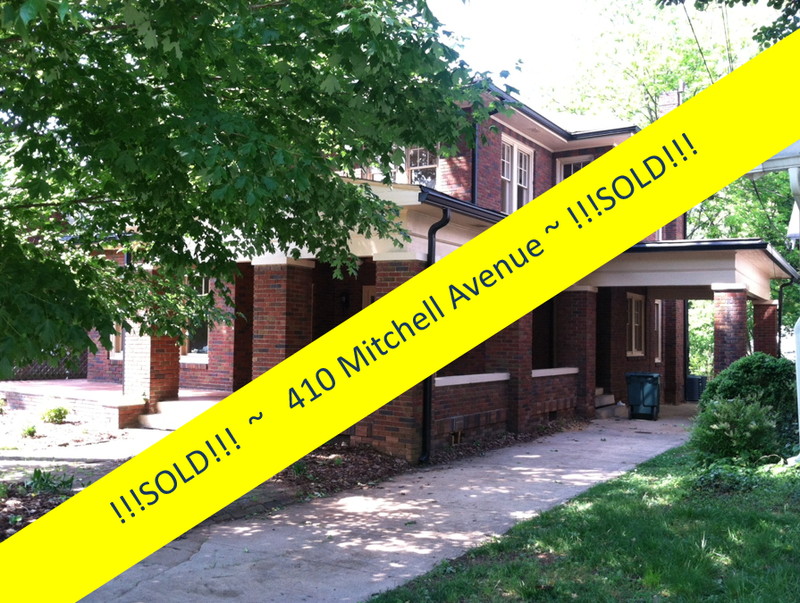 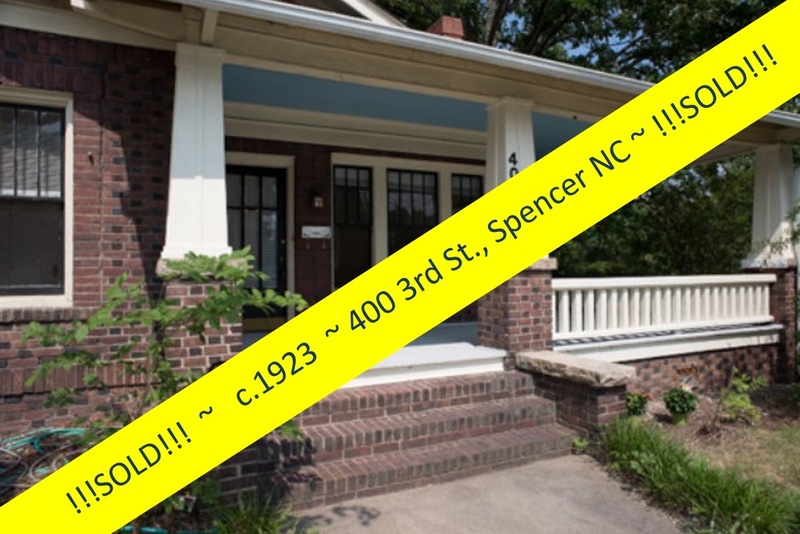 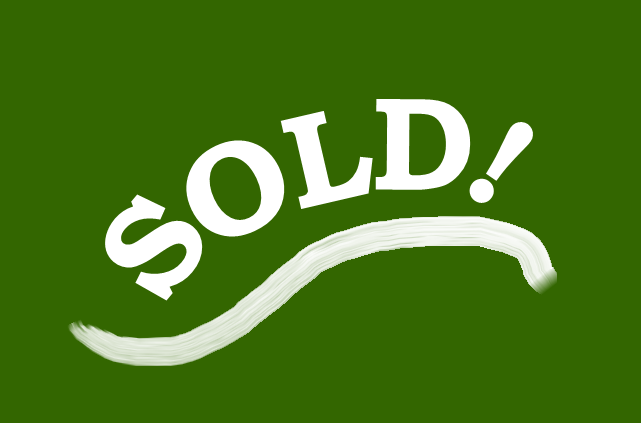 By March 1st, Greg had this vintage one-story Victorian in the Brooklyn South Square Historic District under contract! 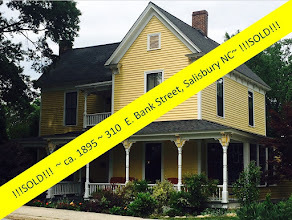 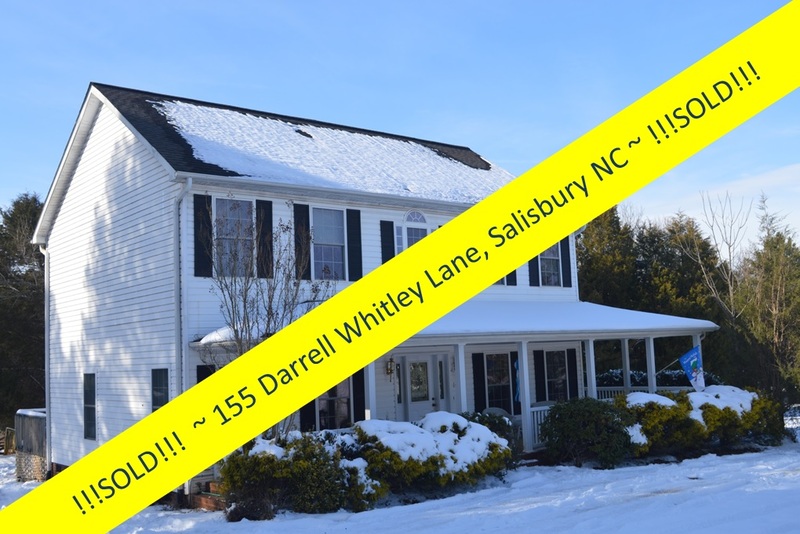 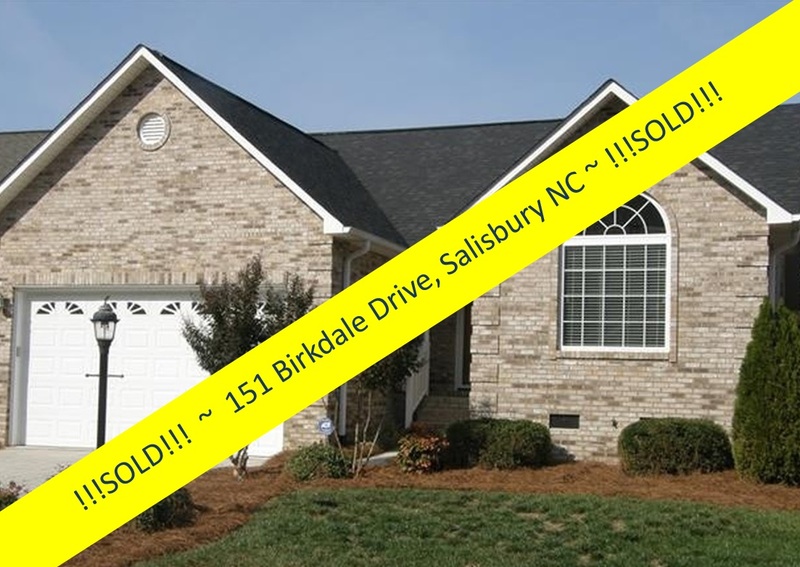 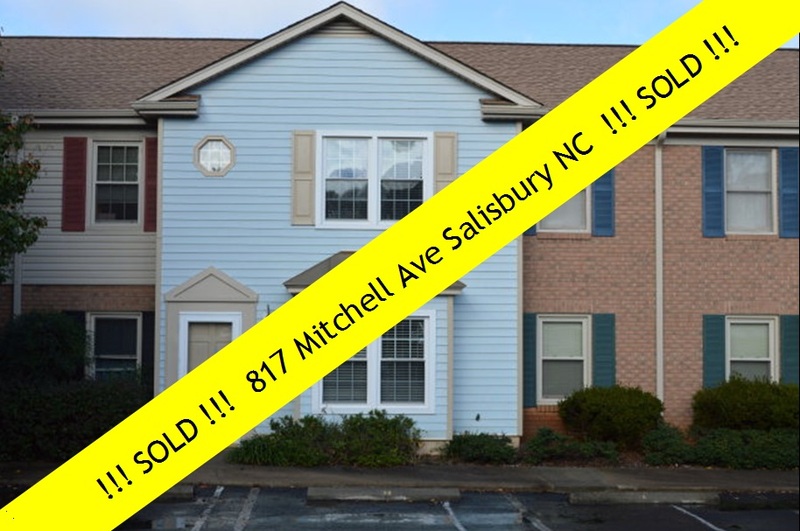 And today the new owners are moving in! 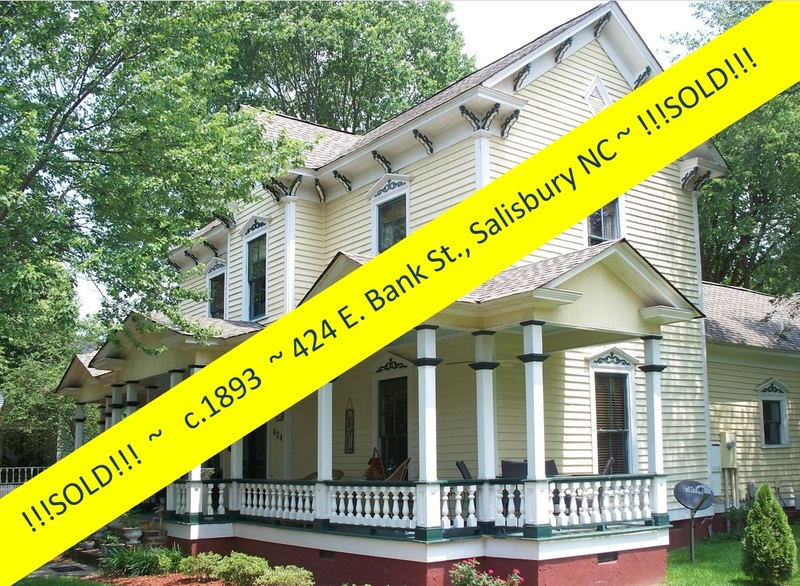 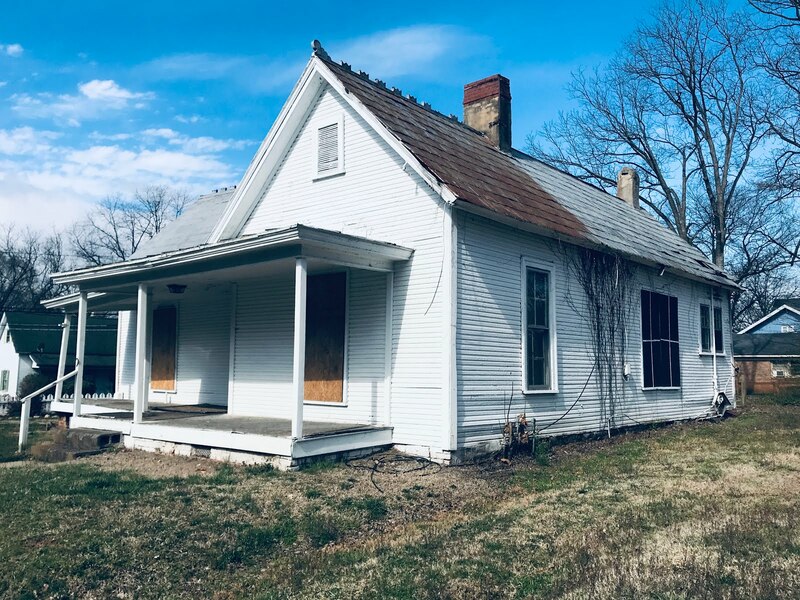 This wonderful example of late nineteenth century residential architecture sat empty for a duration, but then a young couple purchased the home and began the work to rejuvenate it. 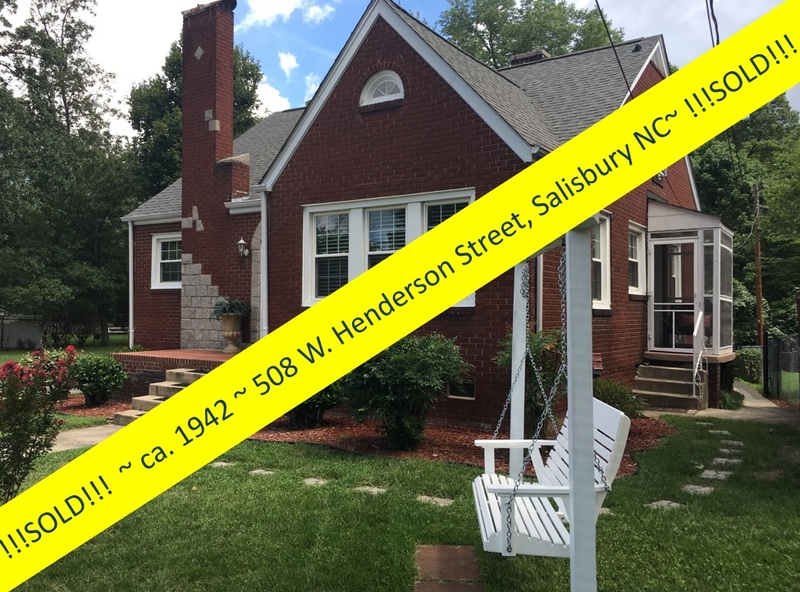 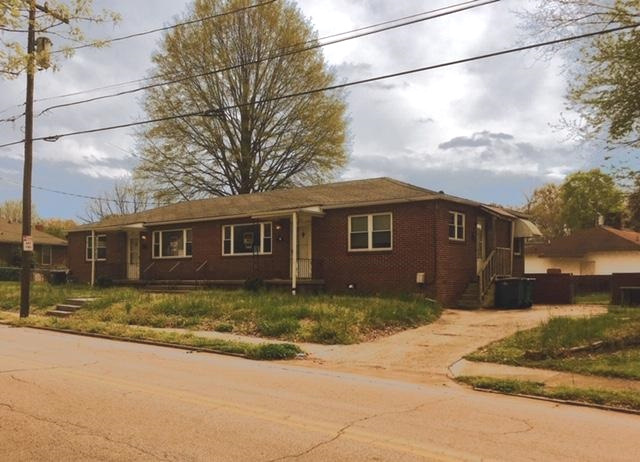 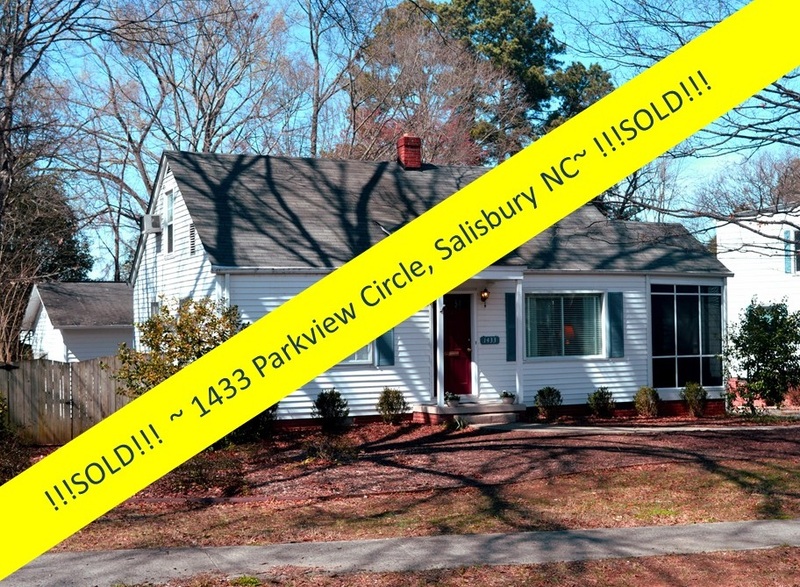 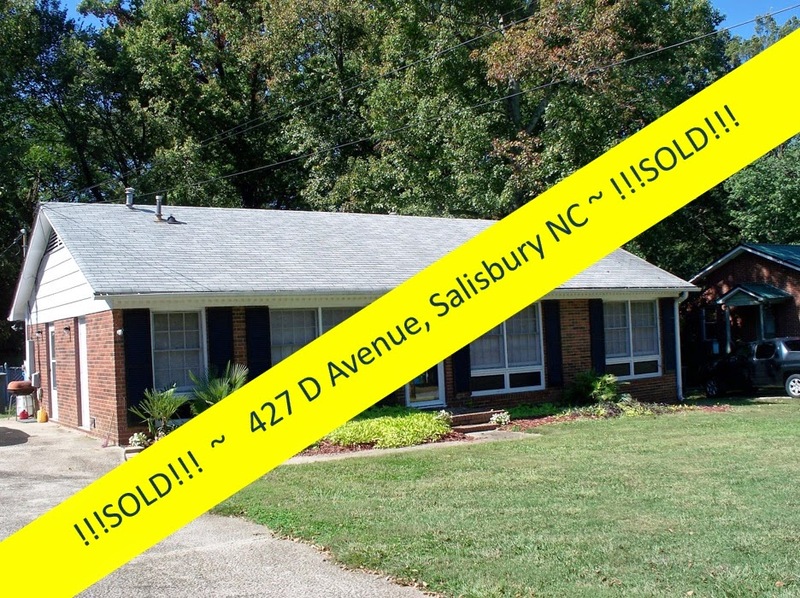 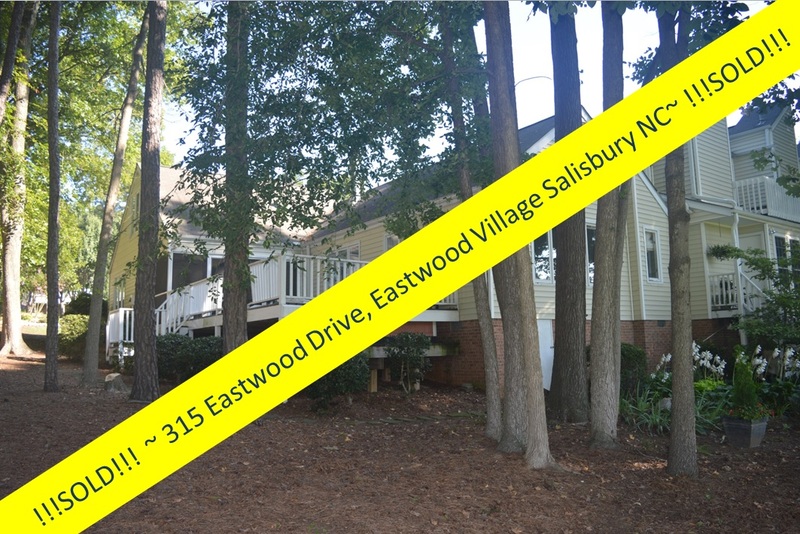 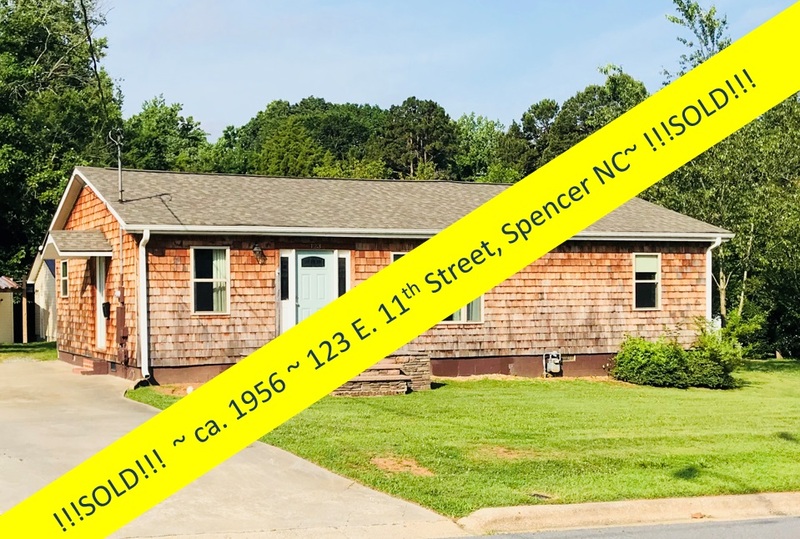 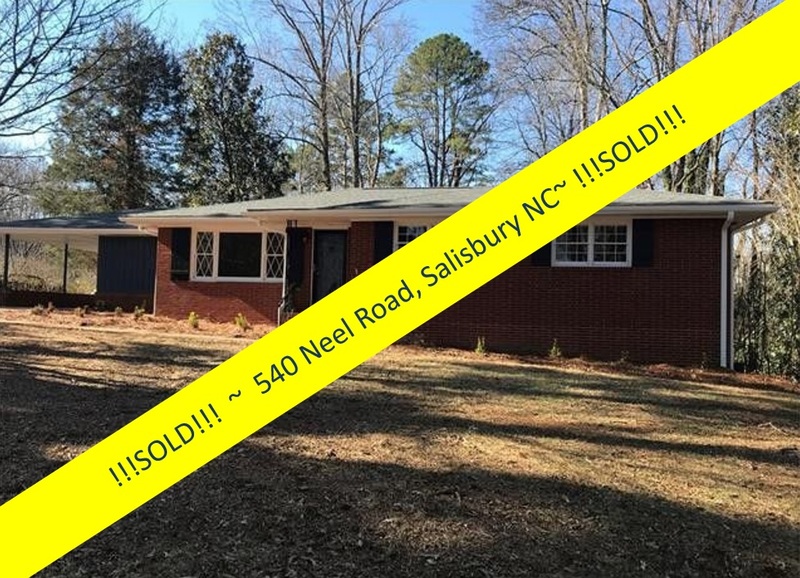 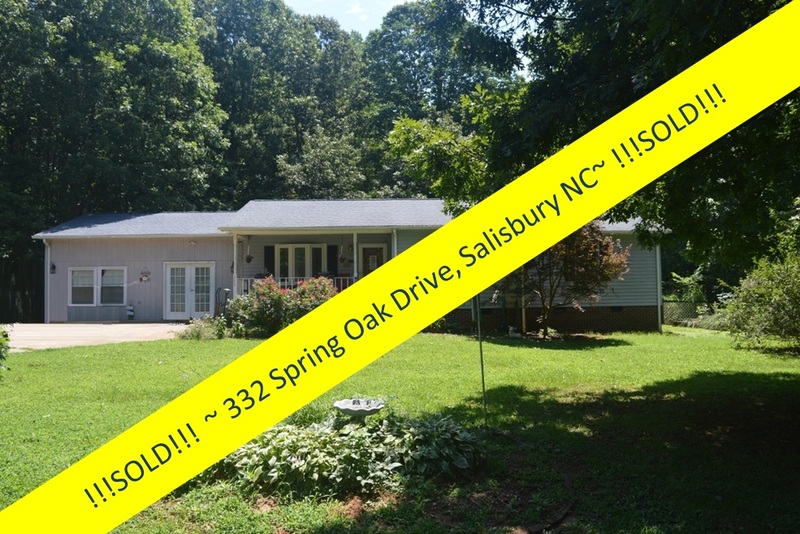 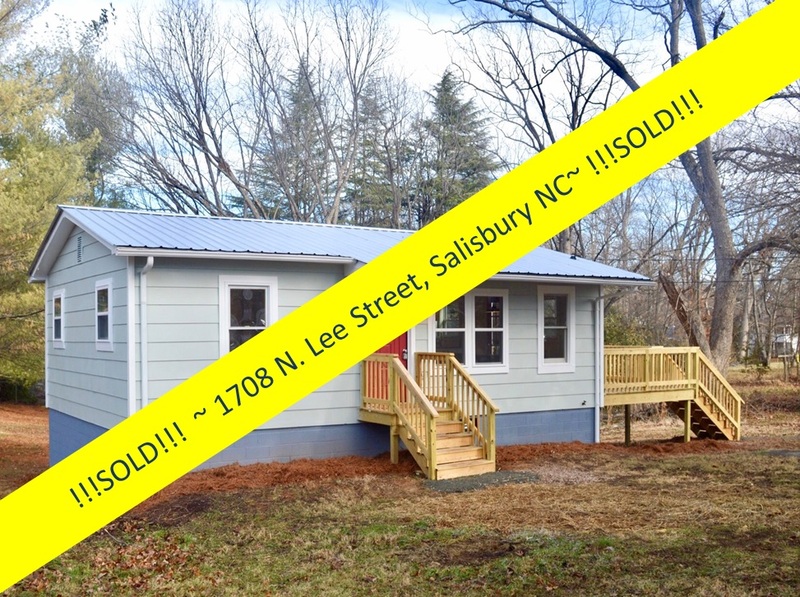 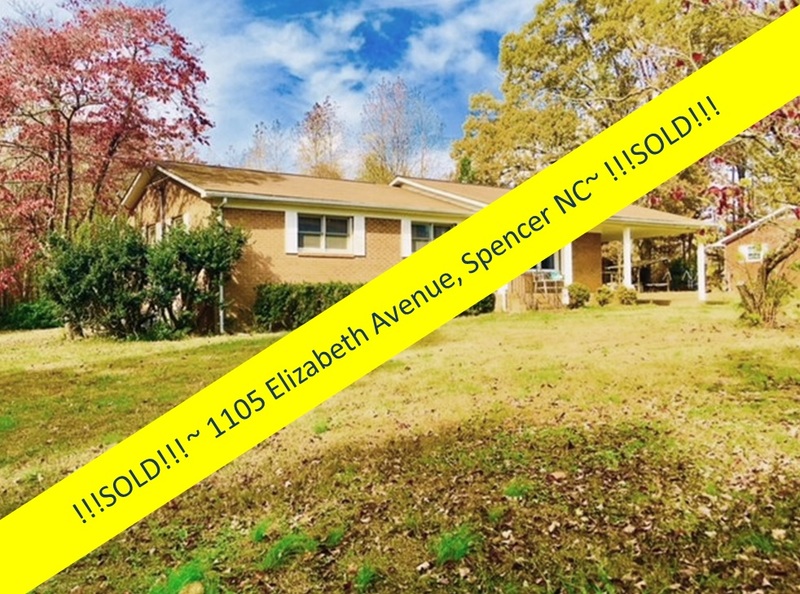 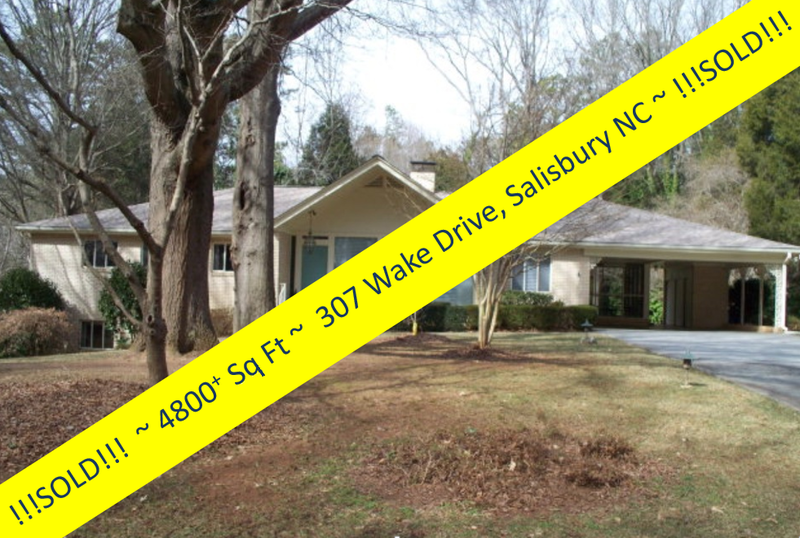 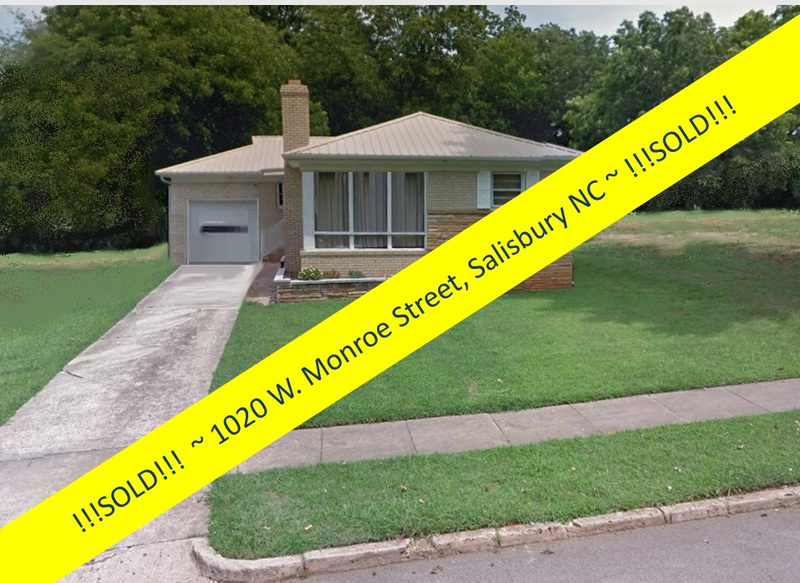 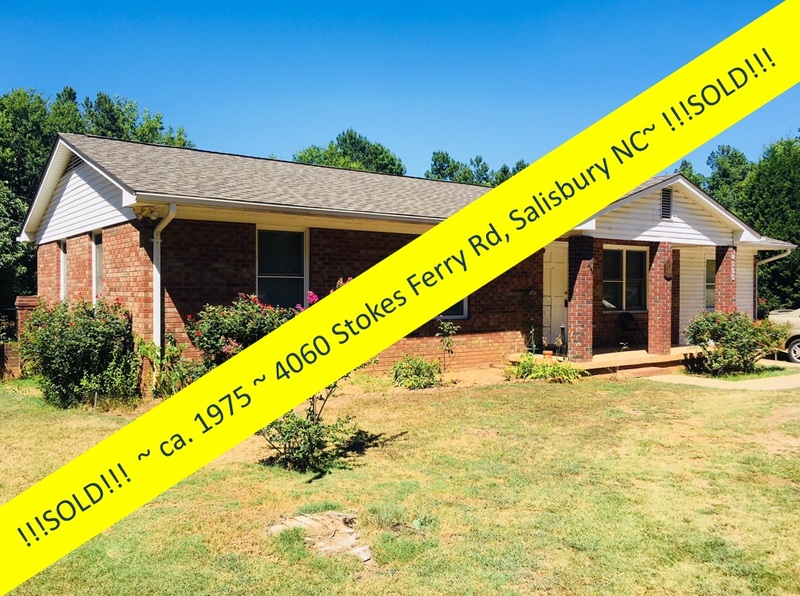 They stabilized and renovated the home, and sold it to a professional photographer who added many more updates, including the privacy fence encircling the back yard. The exterior improvements closely resemble the original materials and design. 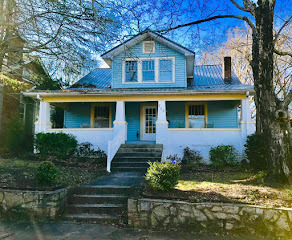 But once you step inside this 2510 square-foot home, the remodel incorporates modern touches with the vintage elements that include the original floors, beautifully refinished to a soft gleam, original horizontal shiplap walls in the living room, and a plethora of fireplaces! 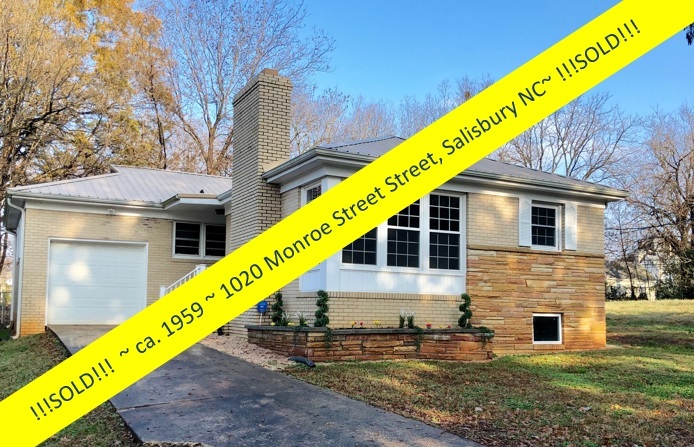 The modern elements, such as a newly opened kitchen-to-dining room floor plan creating a smooth flow of space, the added modern tilework, and more, bring this home into the 21st century with an unexpected ease. 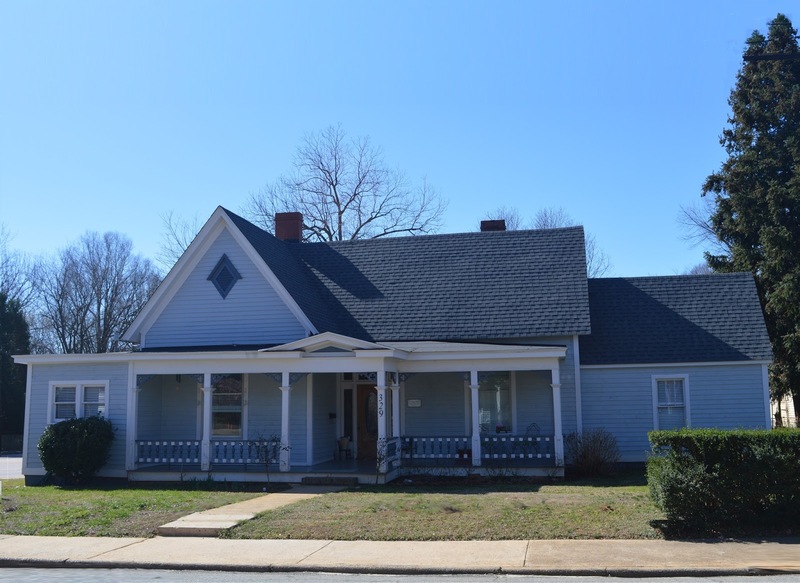 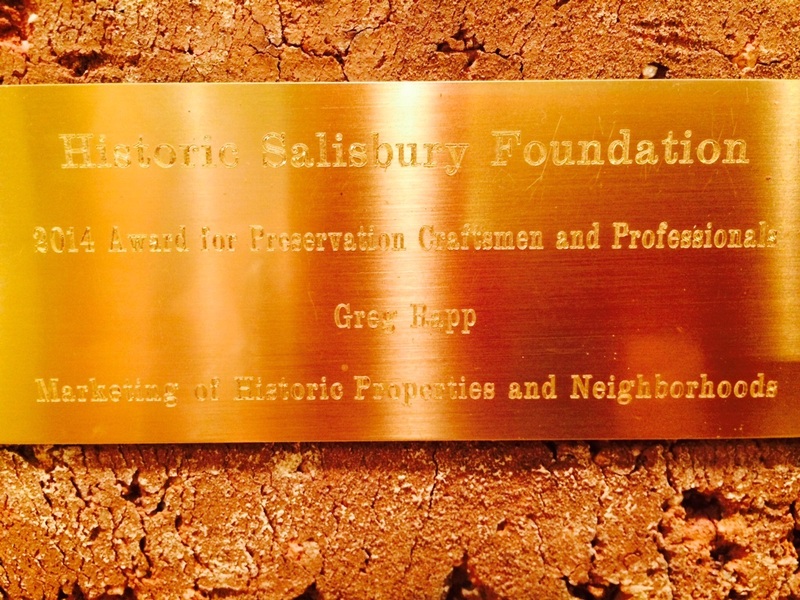 Historic and/or older homes offer a different set of challenges. 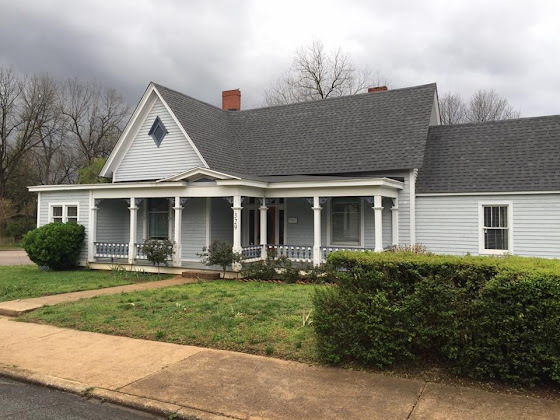 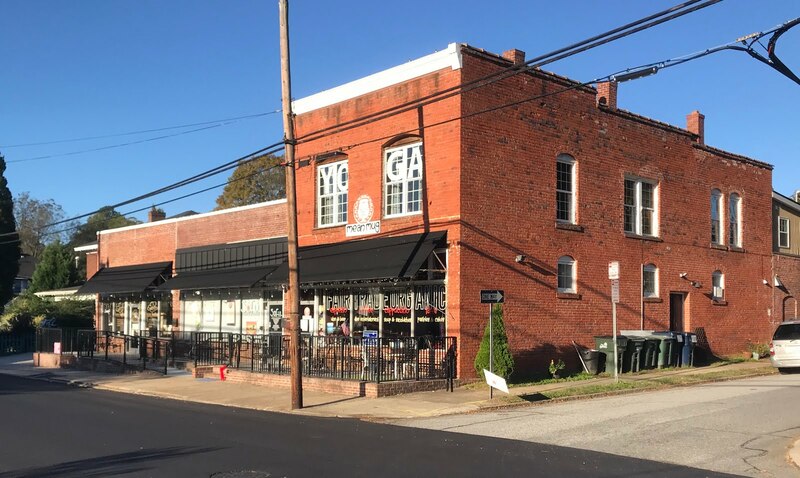 These homes are often not for everyone, but for those who can appreciate the quality of construction that allows a home like the Holmes-Jackson House to stand for over 120 years, there is nothing they would rather have. 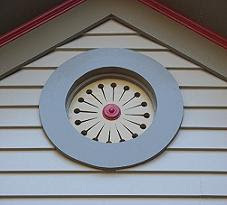 The character and workmanship in a vintage home cannot be compared to today's standards . 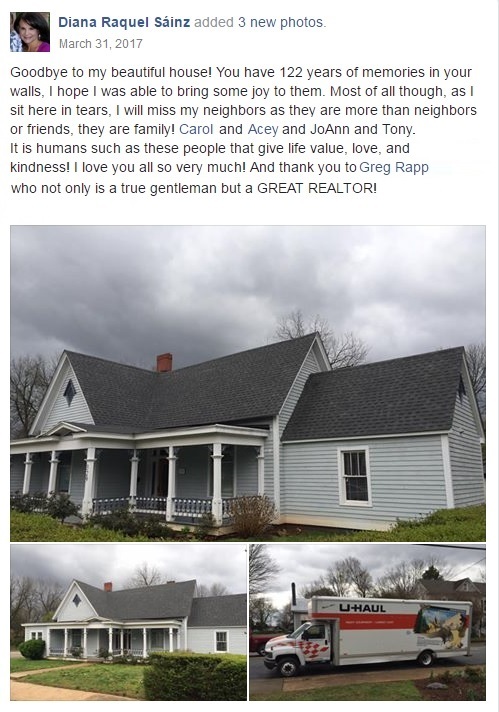 . . setting them apart from the modern homes of today. 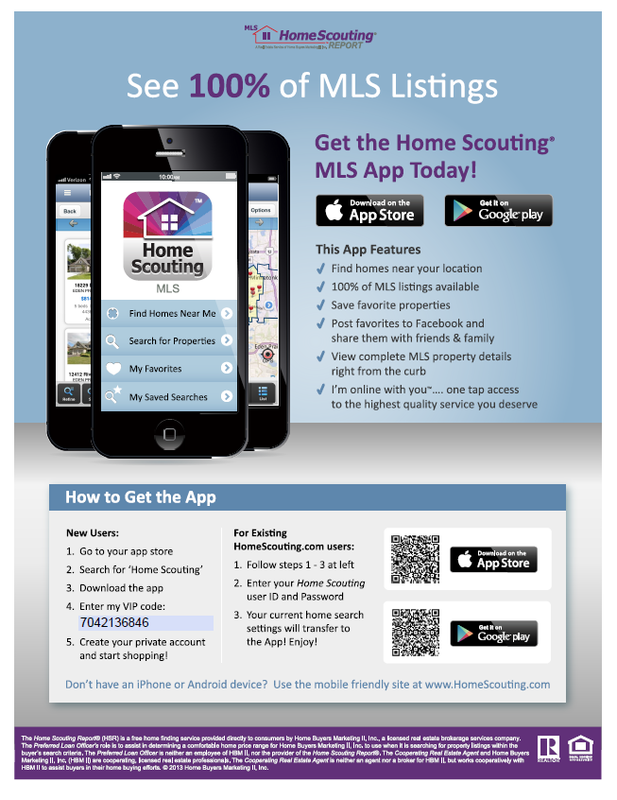 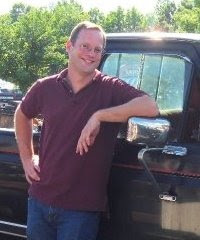 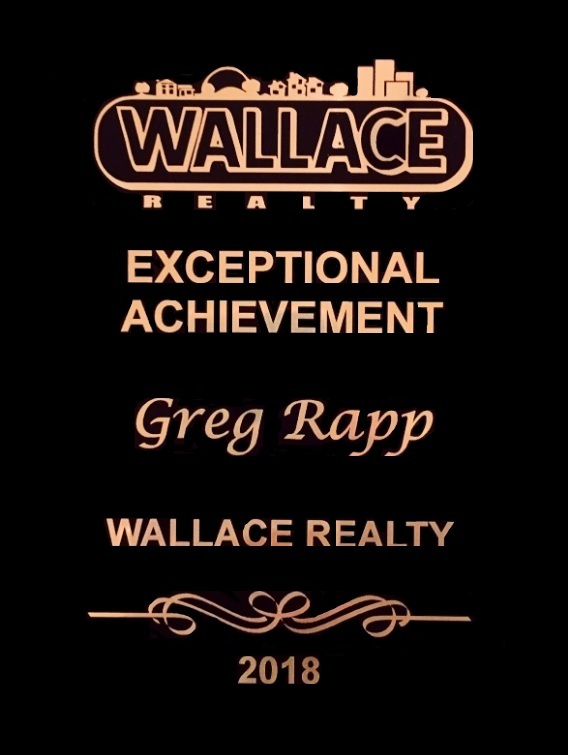 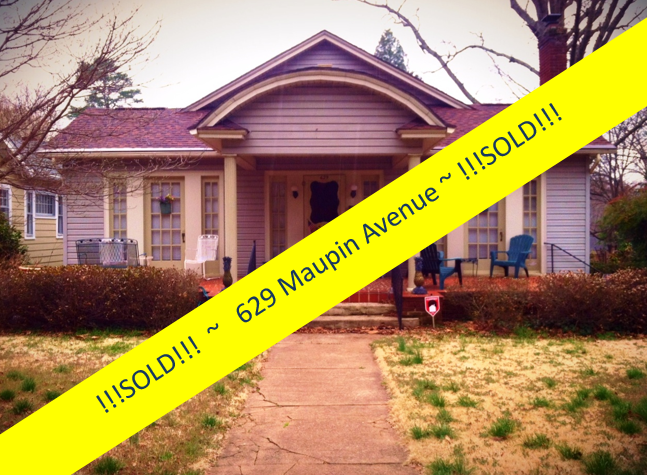 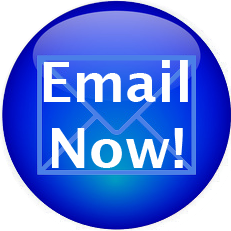 When you are ready to sell your home, contact Realtor® Greg Rapp with Wallace Realty. No one does this better! 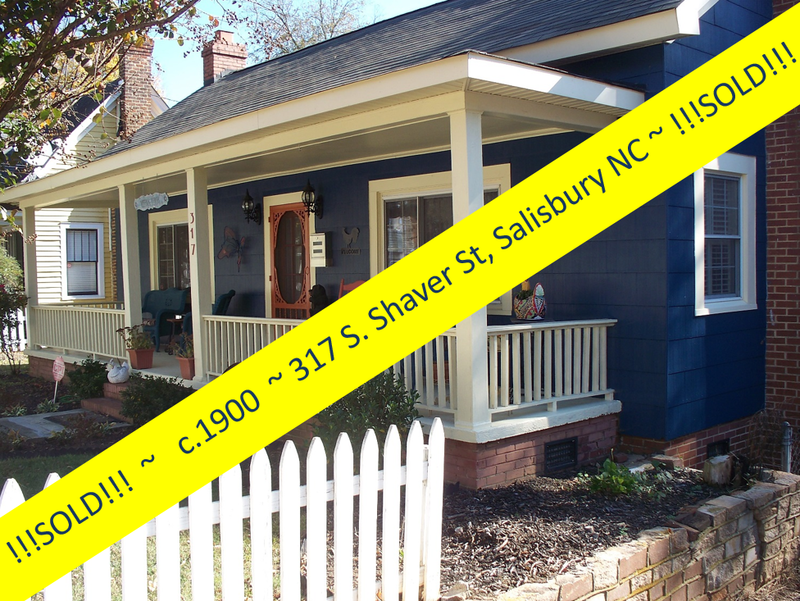 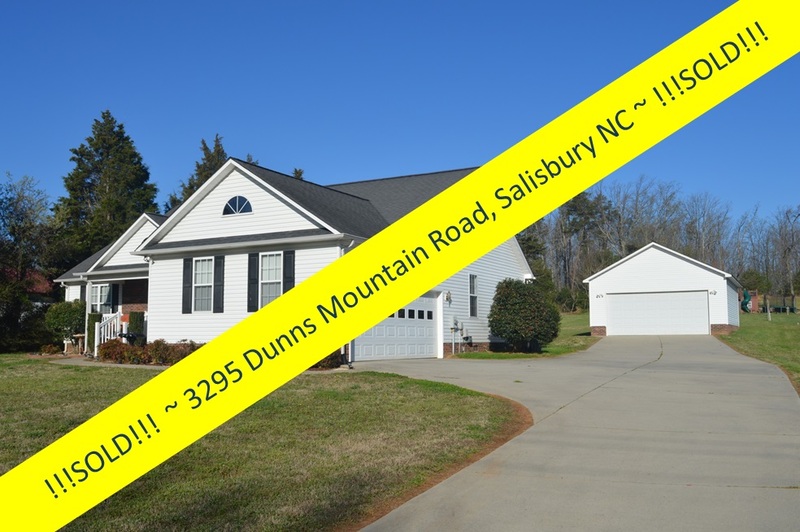 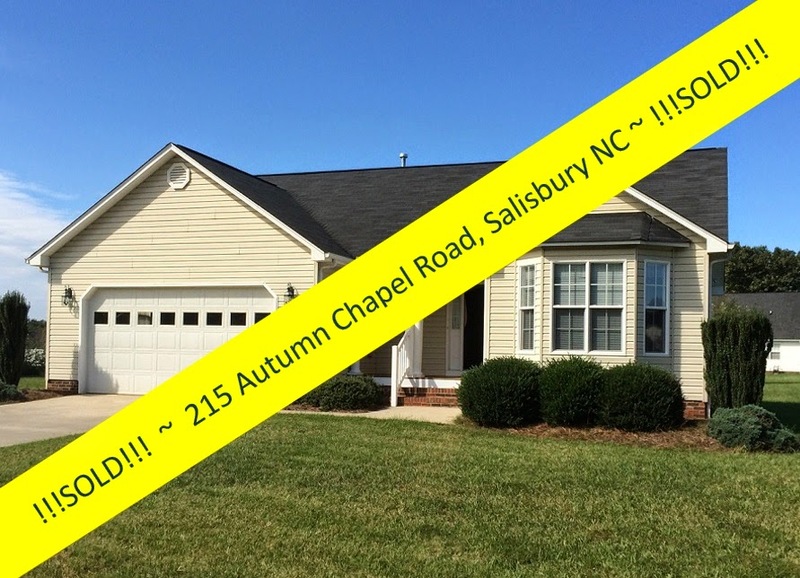 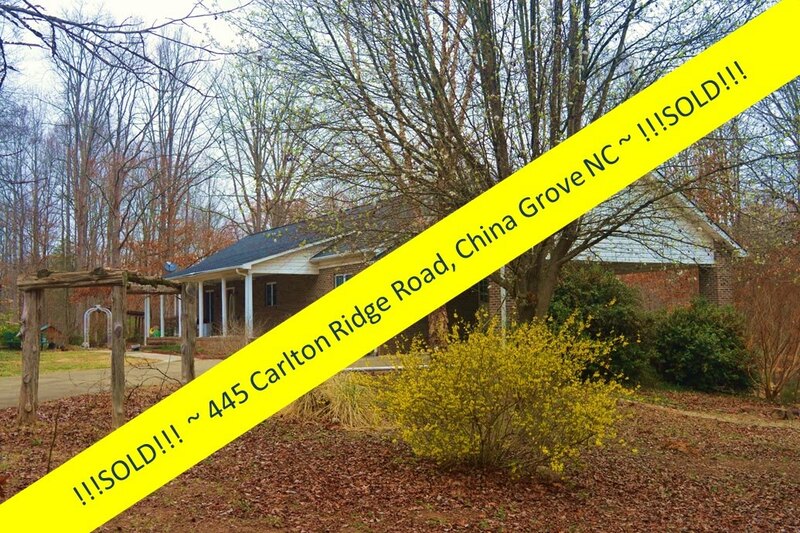 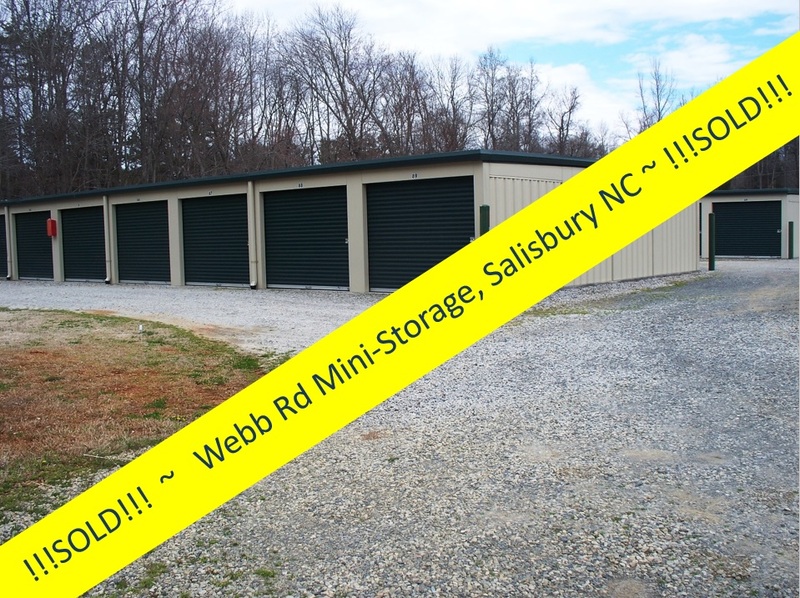 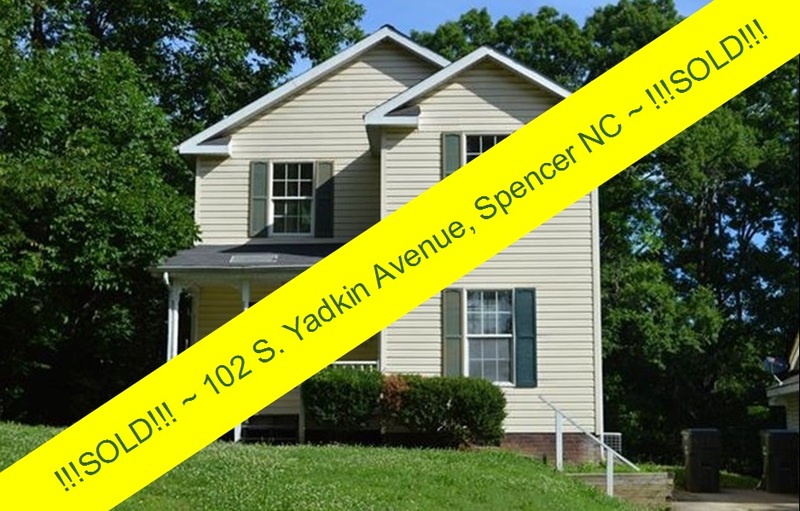 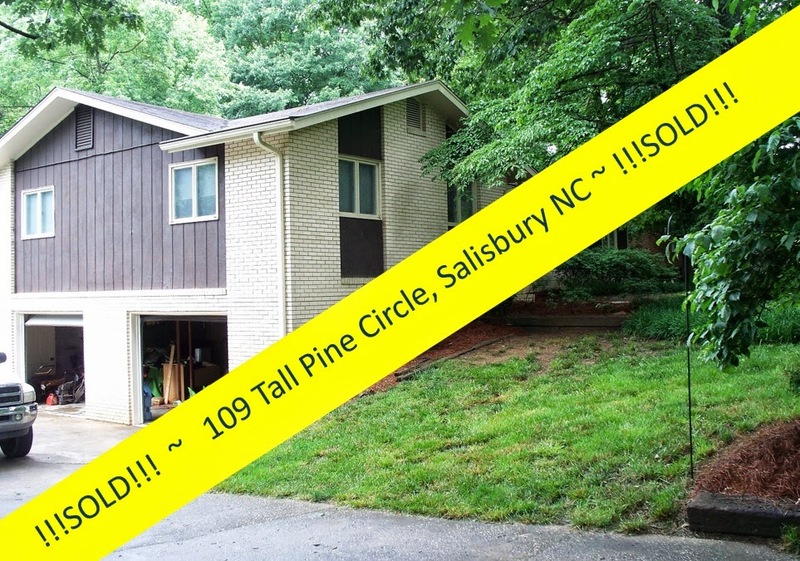 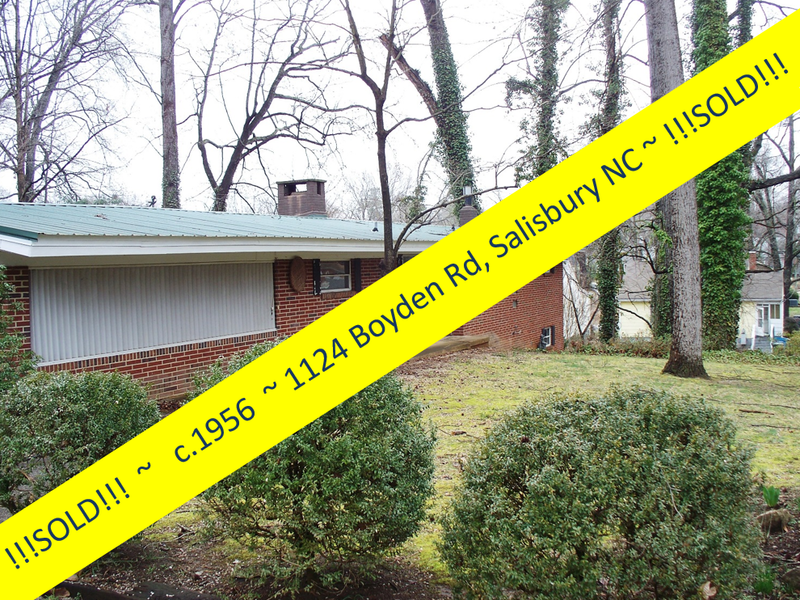 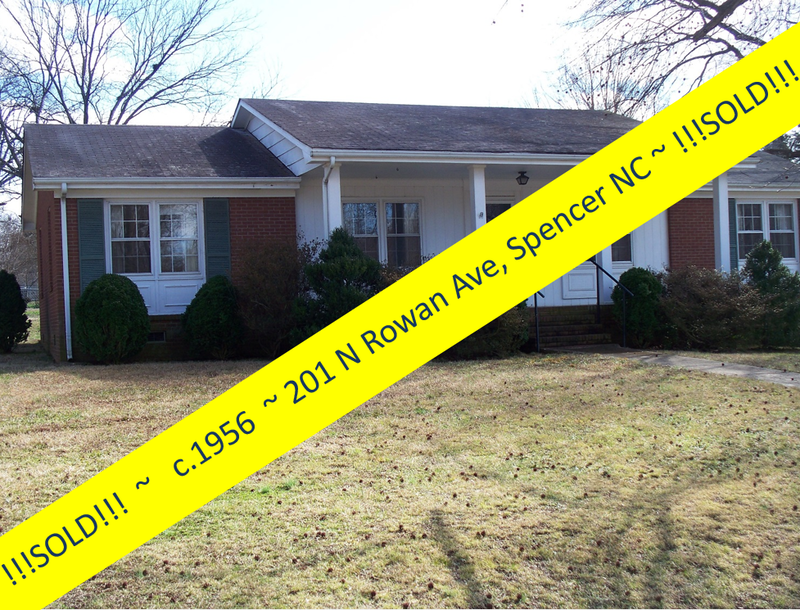 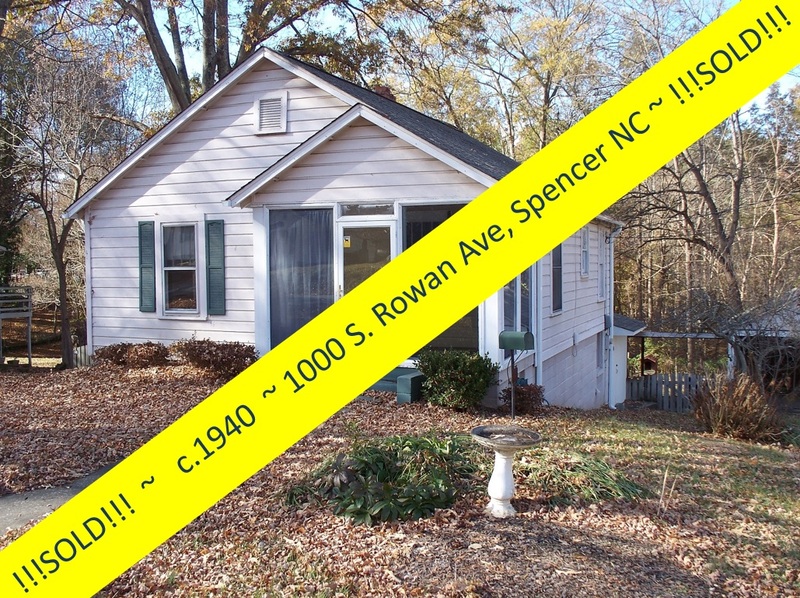 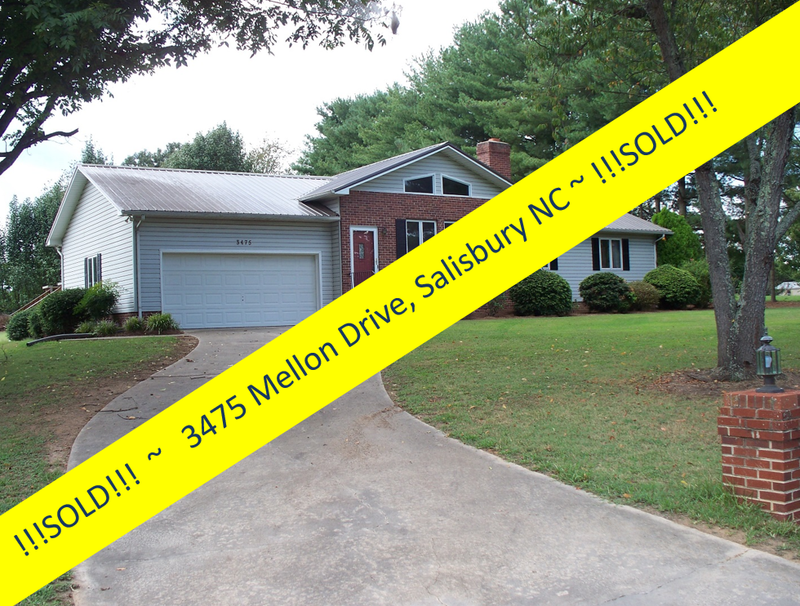 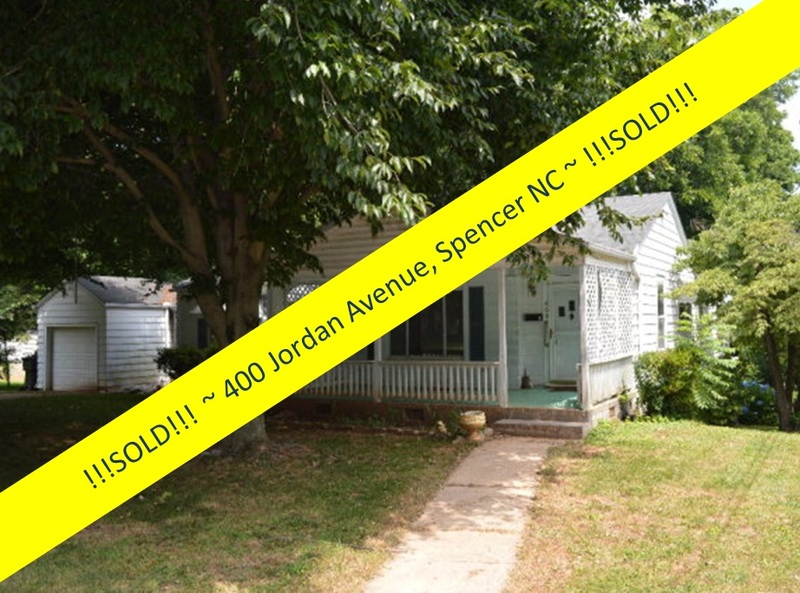 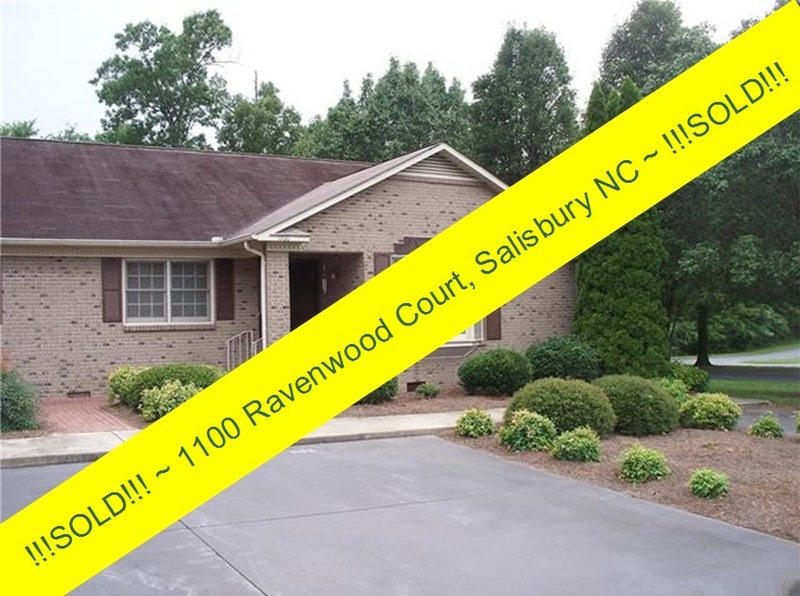 (704) 213-6846 is the number to call!